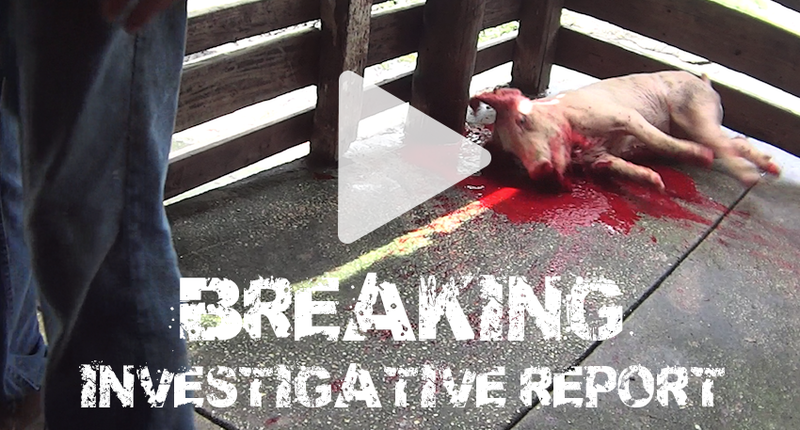 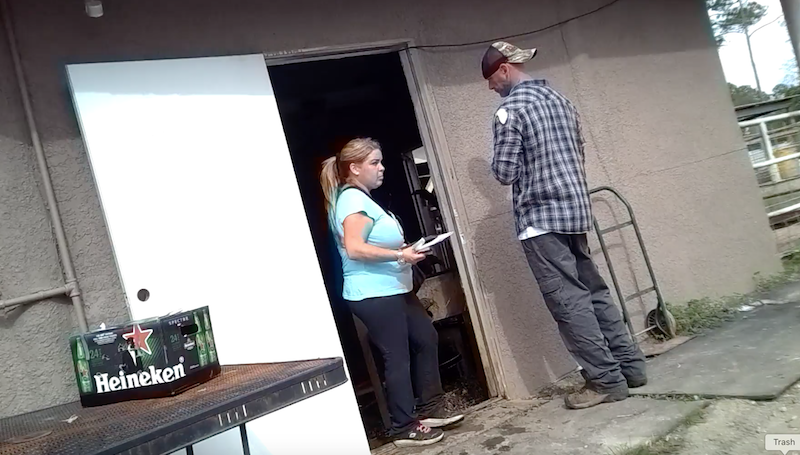 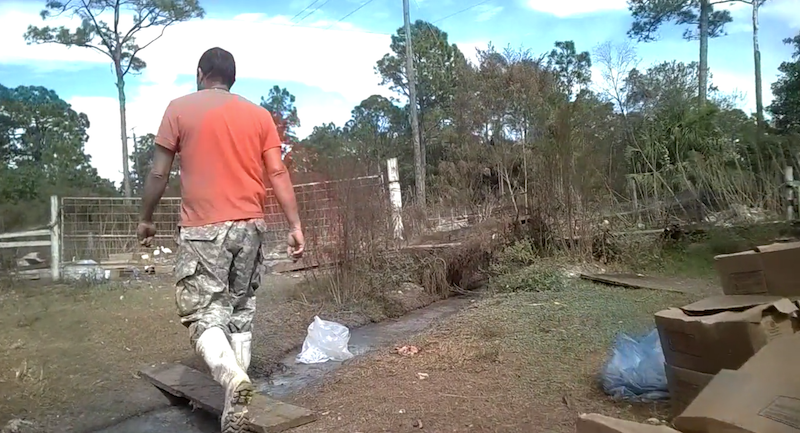 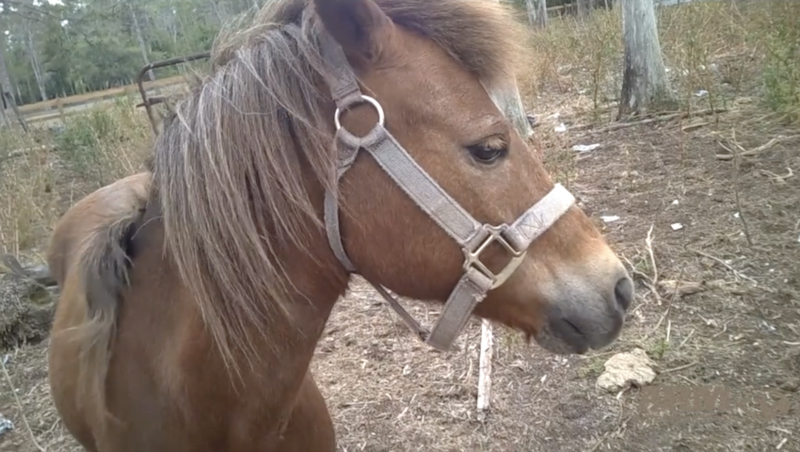 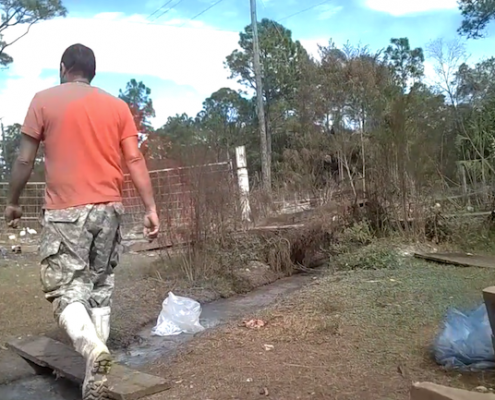 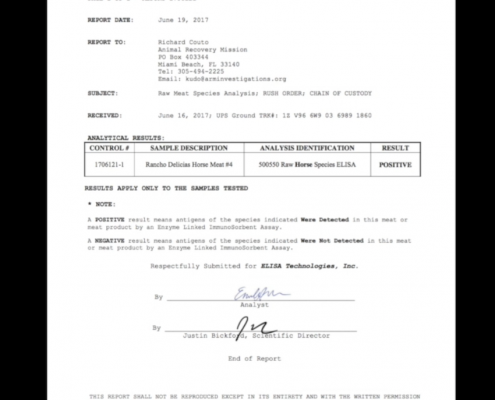 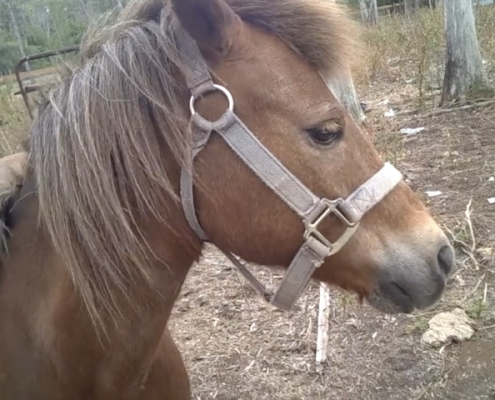 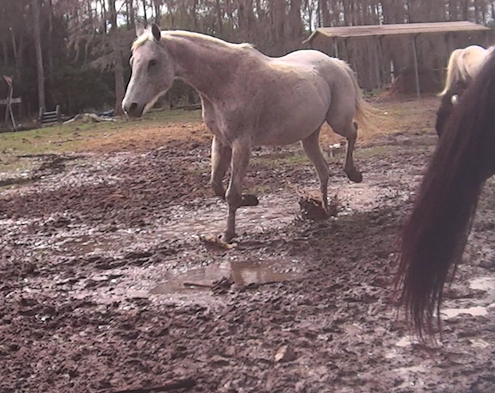 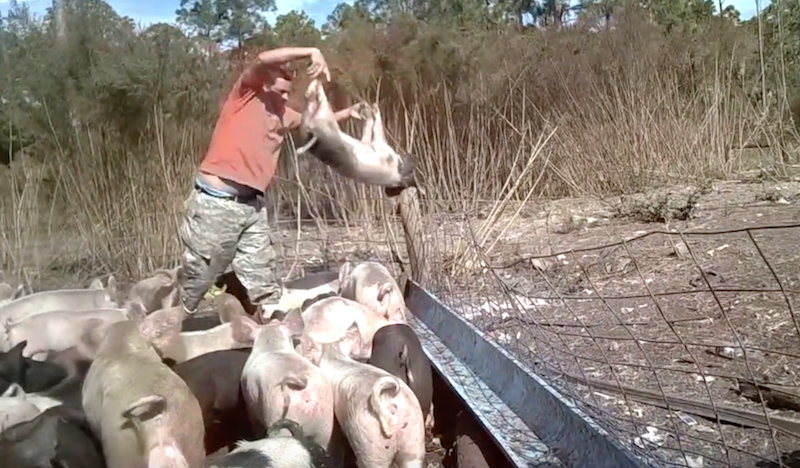 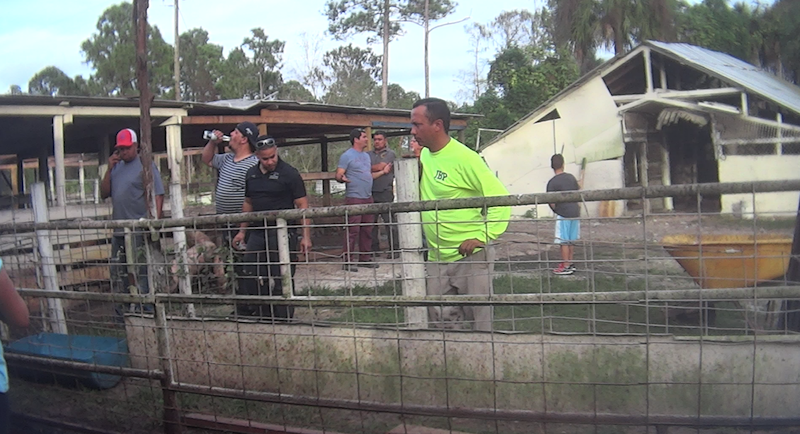 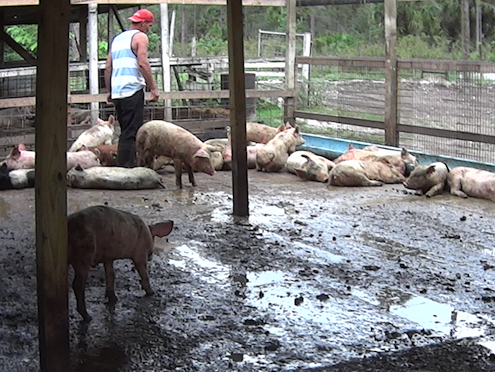 In 2015, ARM initiated an undercover investigation upon an illegal animal and horse slaughter farm, located on 7161 Eastwood Acres Road of Fort Myers, Florida. 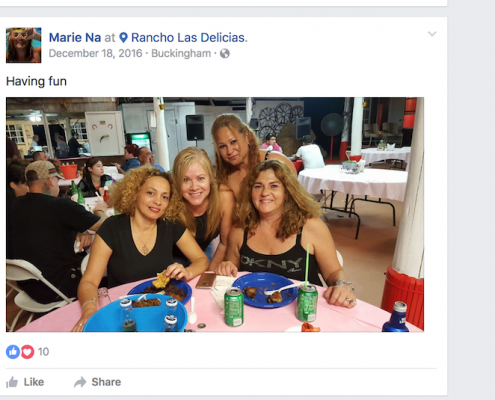 To date, this property, known as Rancho Delicias, has since become one of ARM’s most complex and drawn out investigations. 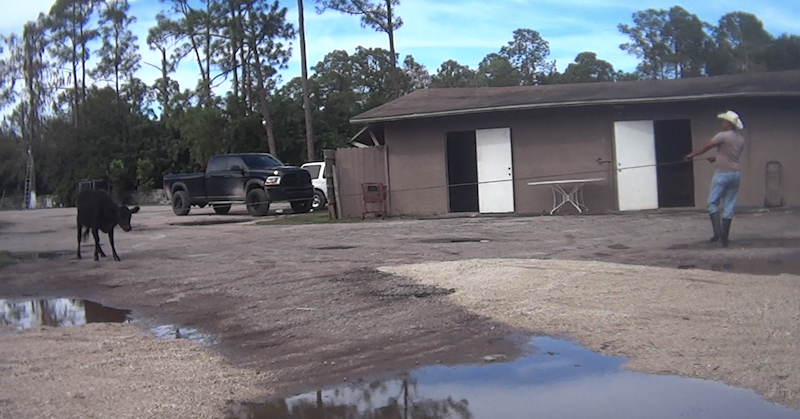 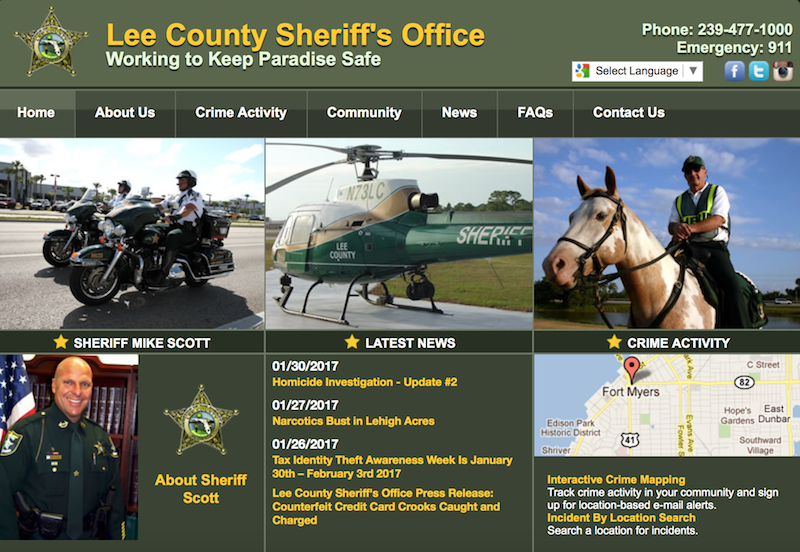 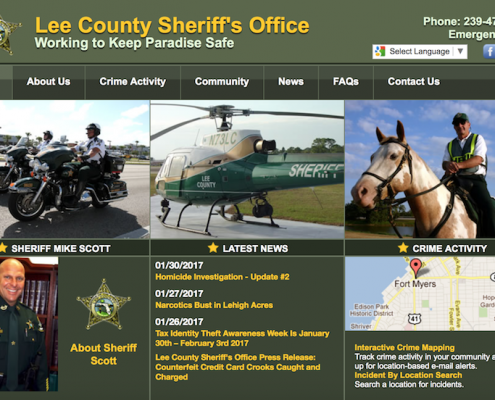 This was mainly due to an ongoing resistance from the local Sheriff’s Department and State Attorney’s office. 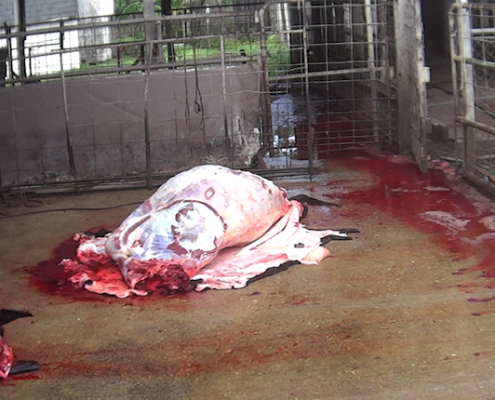 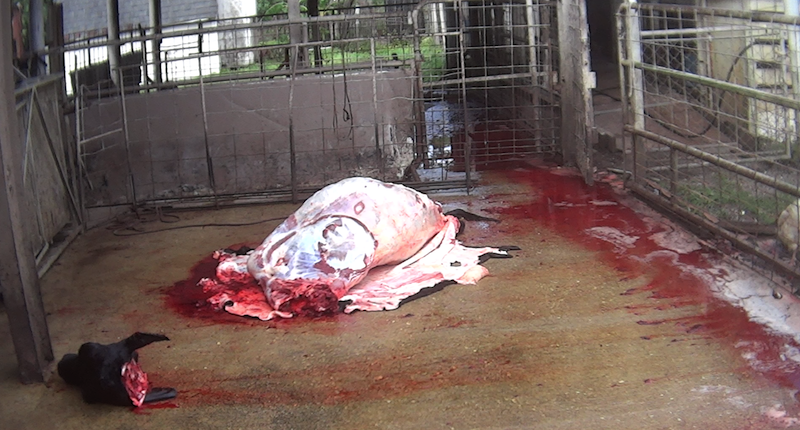 Major crimes are being conducted, including the sale, slaughter, and knowledge of horse meat for human consumption. 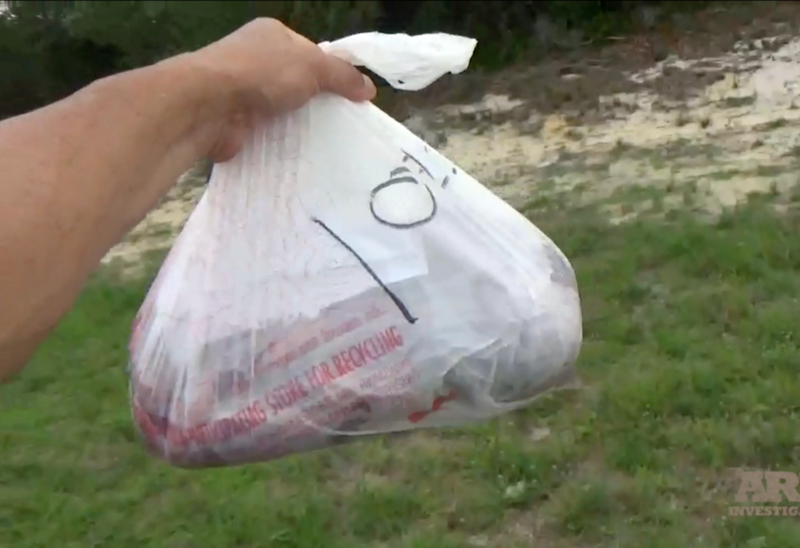 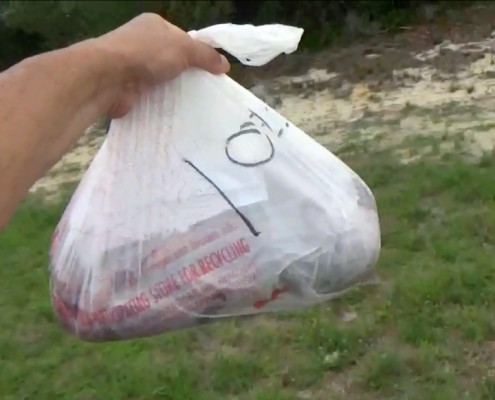 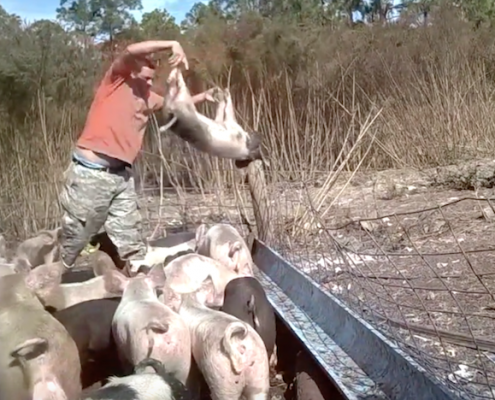 This alone is considered to be a third-degree felony in the State of Florida. 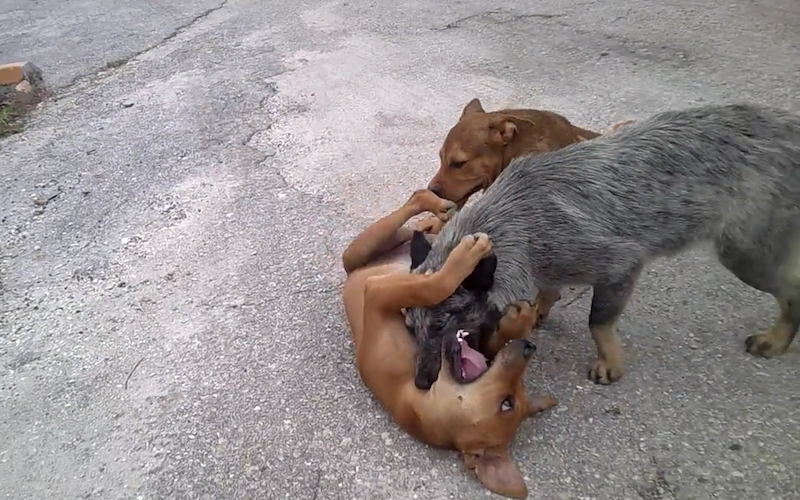 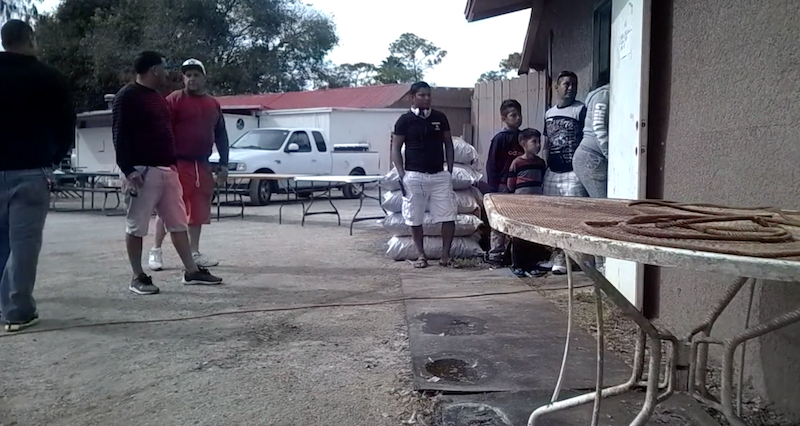 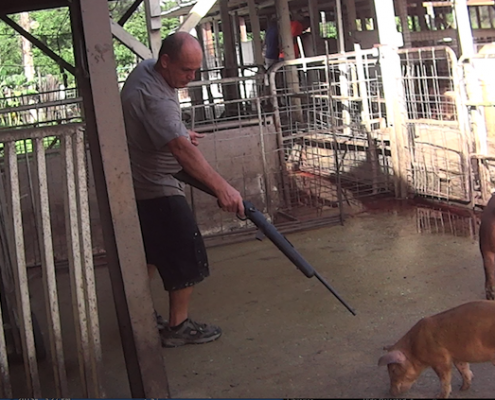 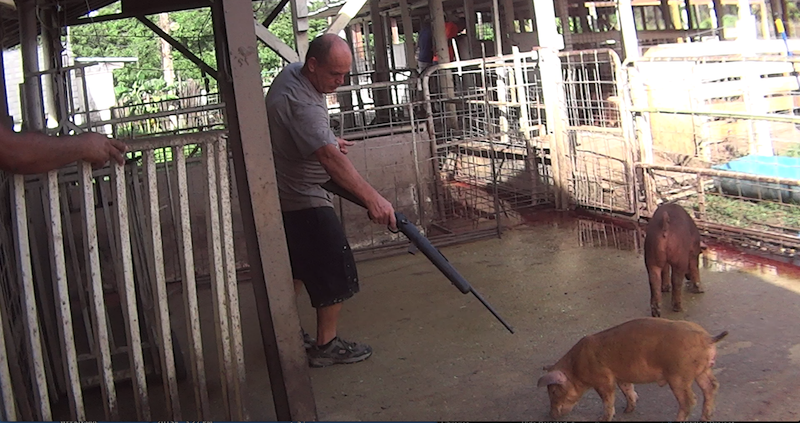 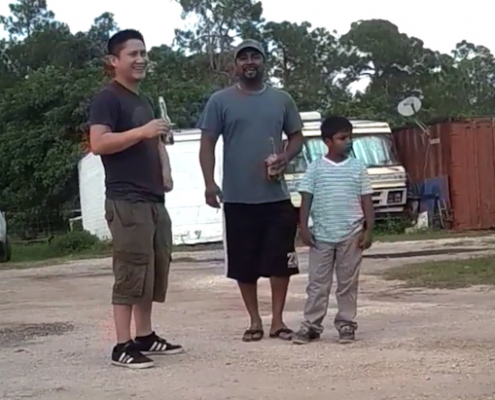 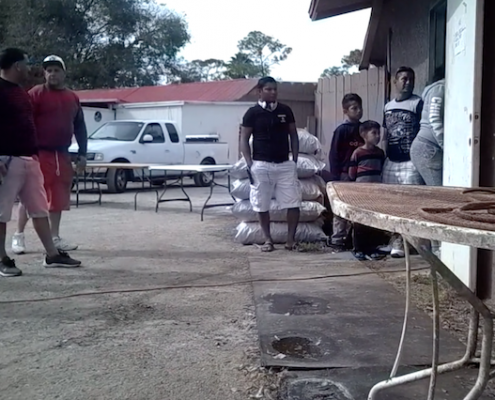 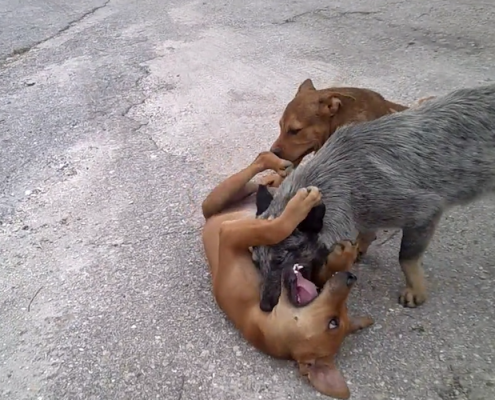 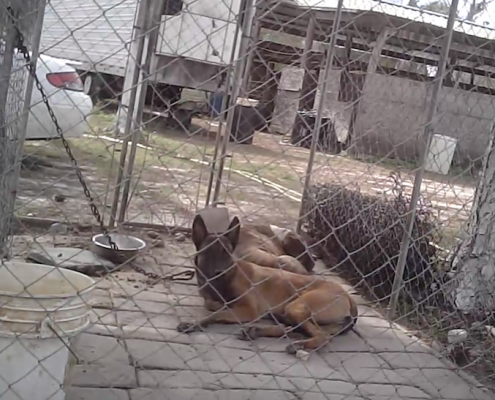 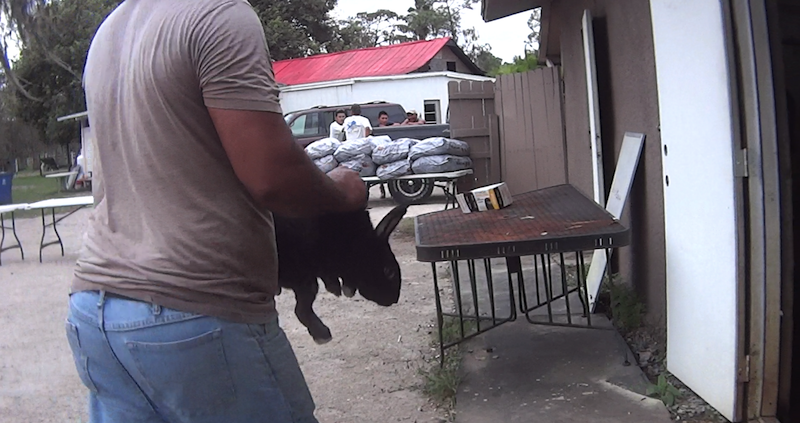 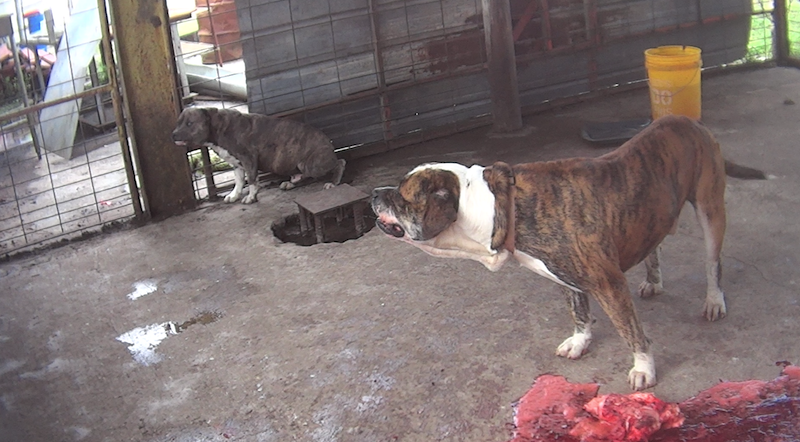 Aside from the animal slaughter crimes, Rancho Delicias is subjecting dogs to aggression training, trading and animal fighting. 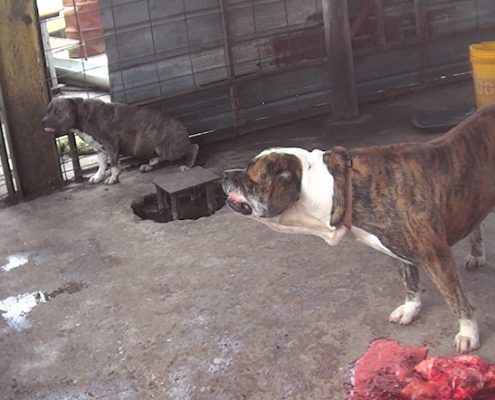 Dogs are being traded for animal sacrifice. 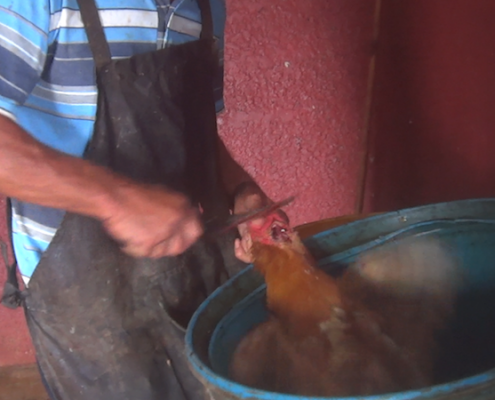 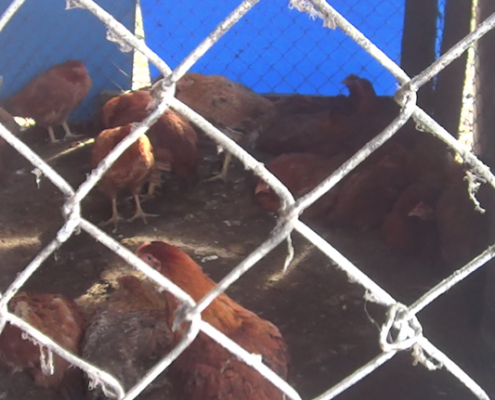 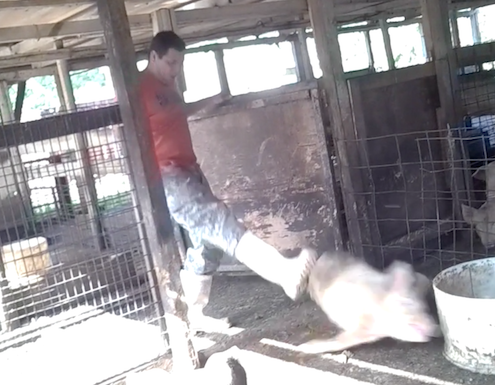 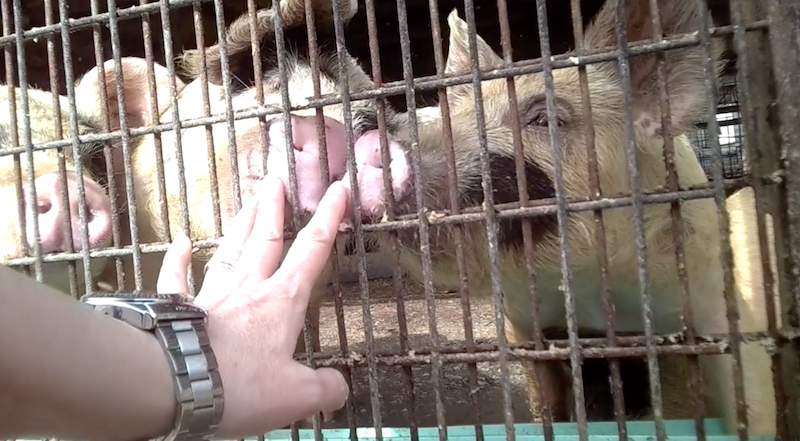 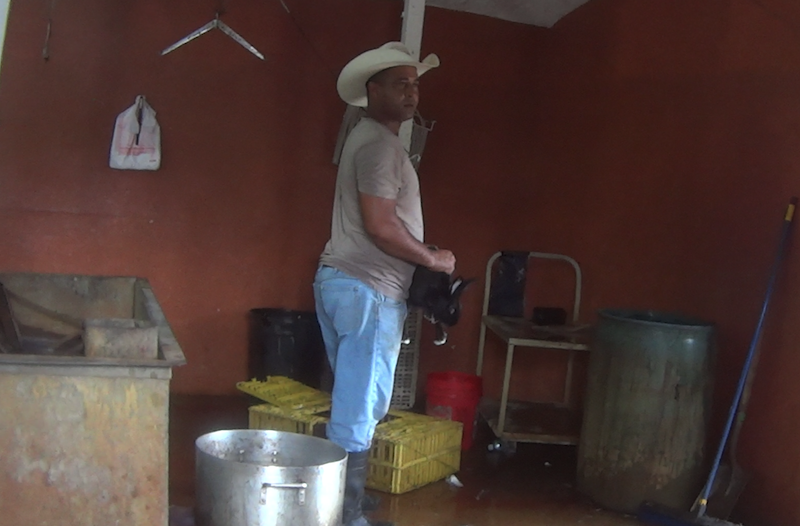 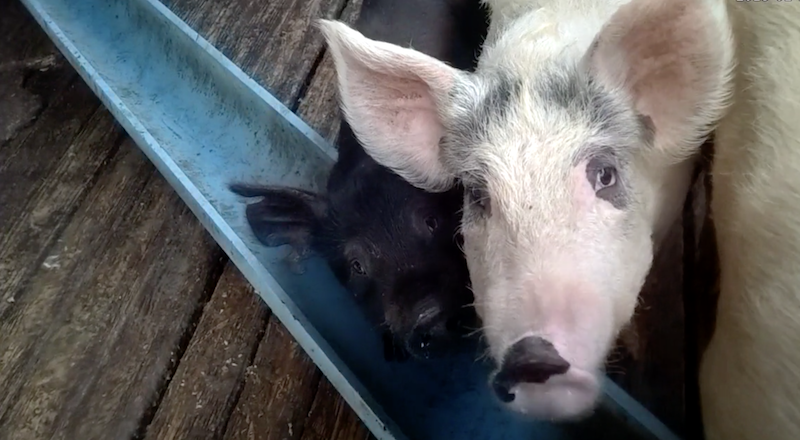 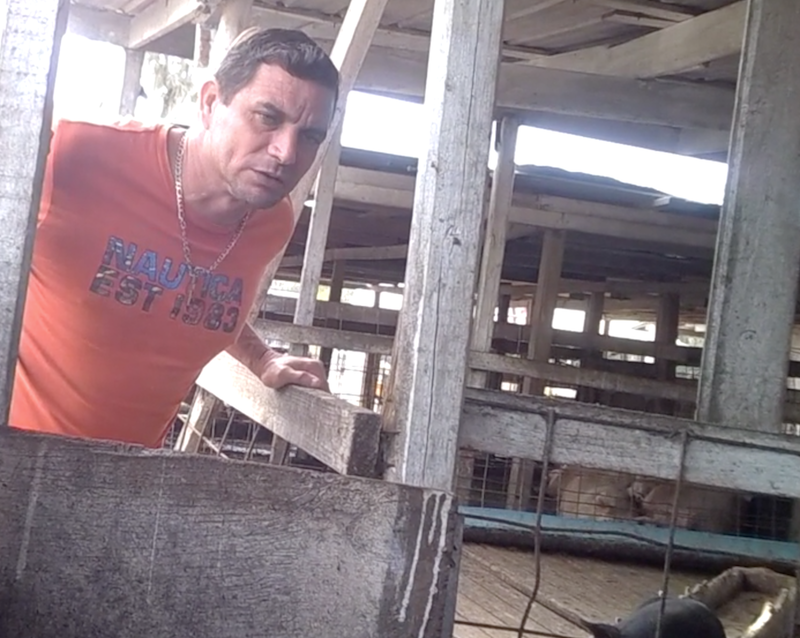 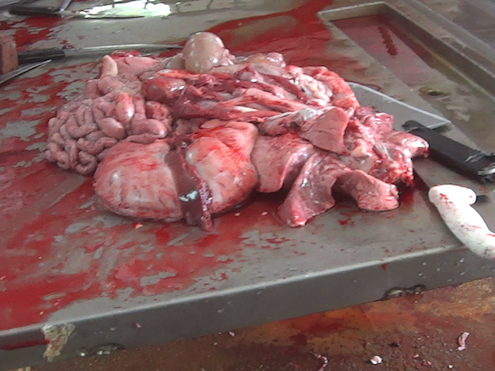 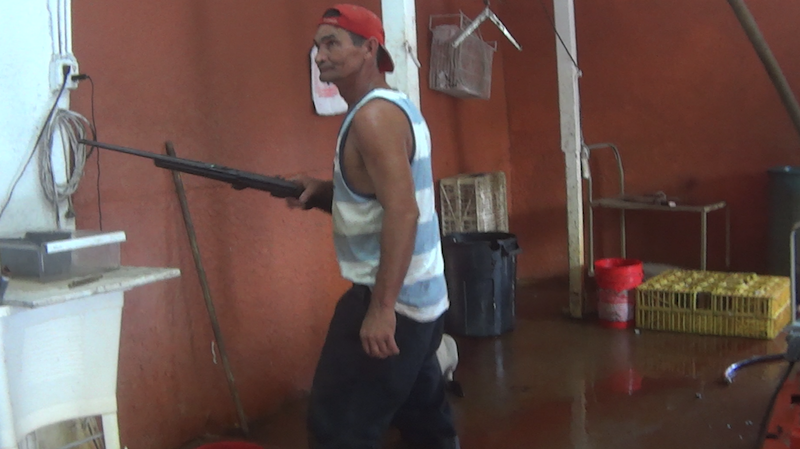 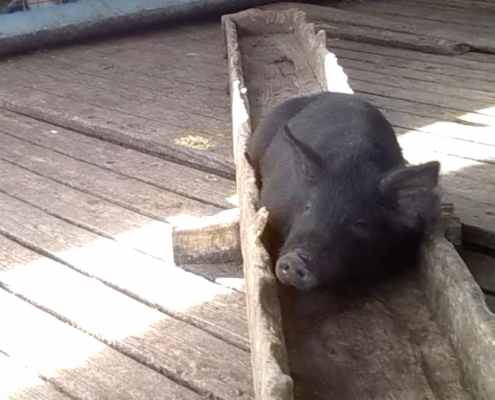 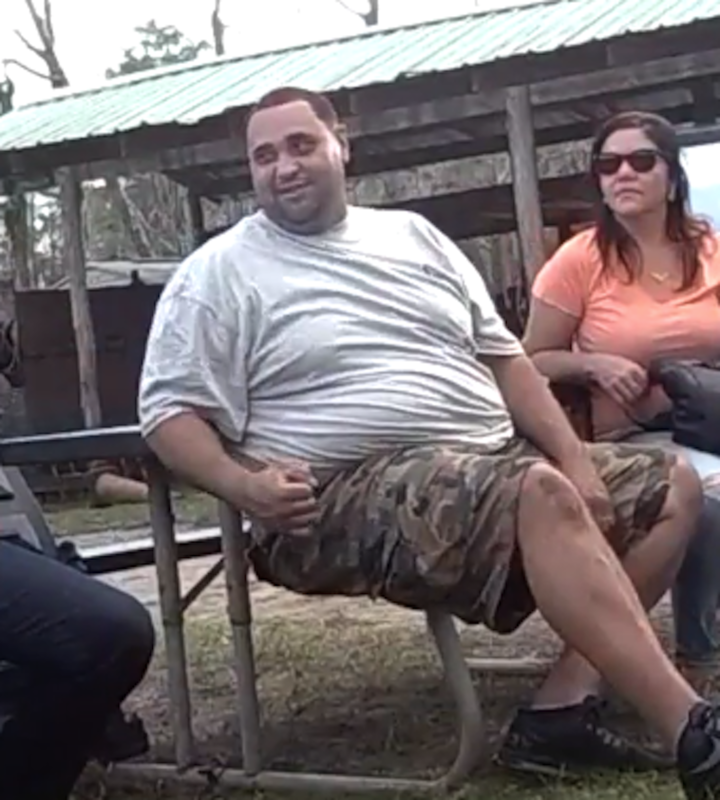 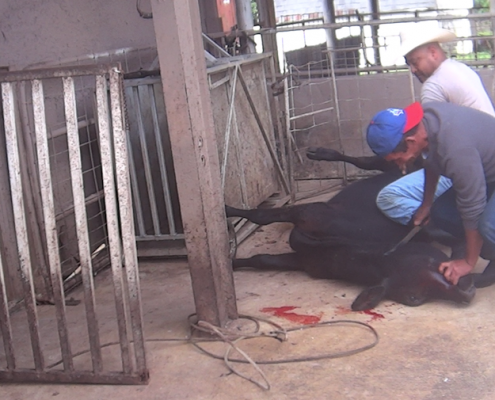 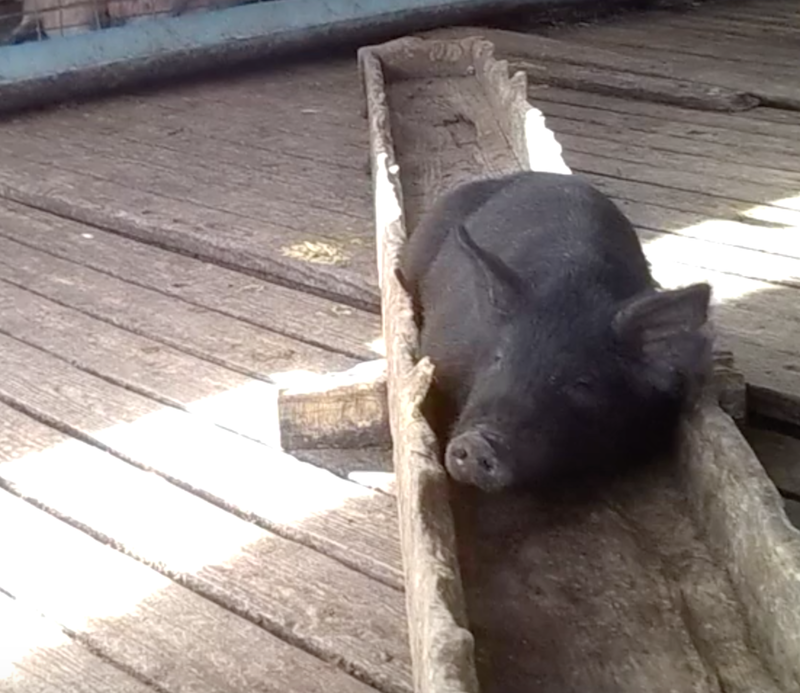 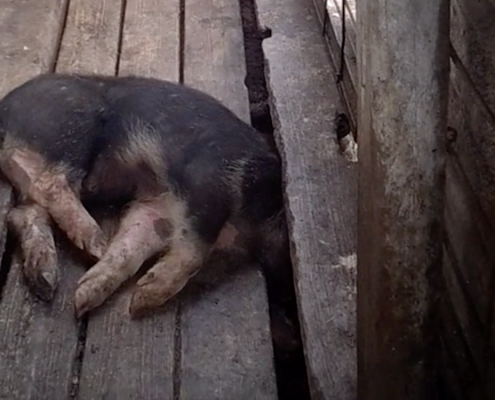 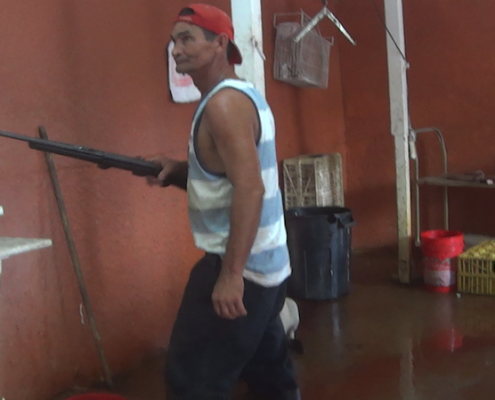 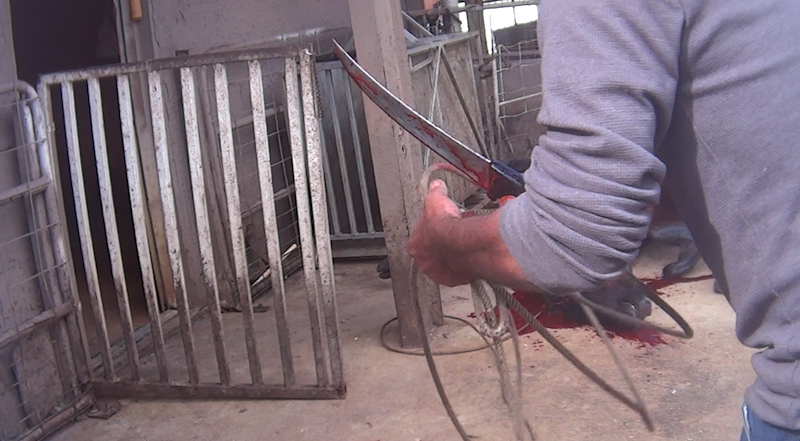 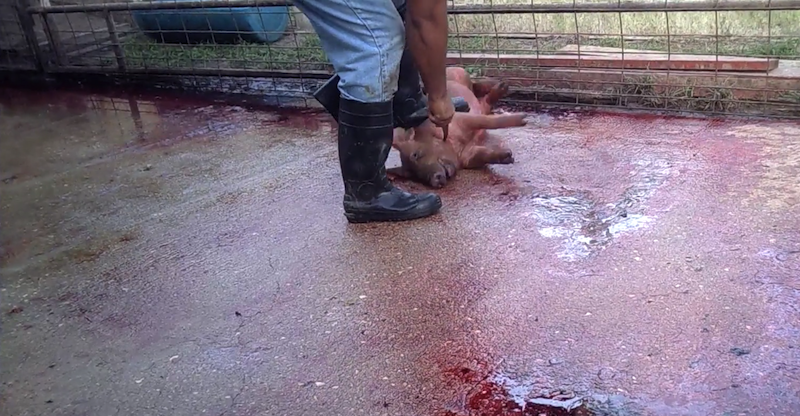 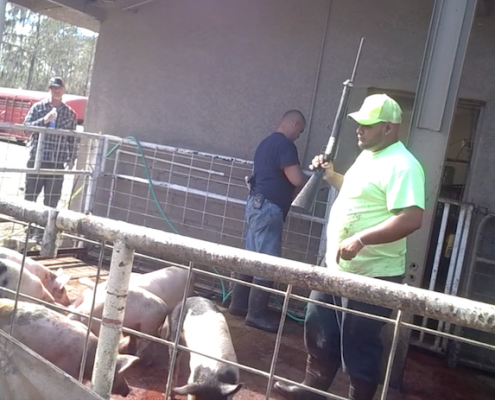 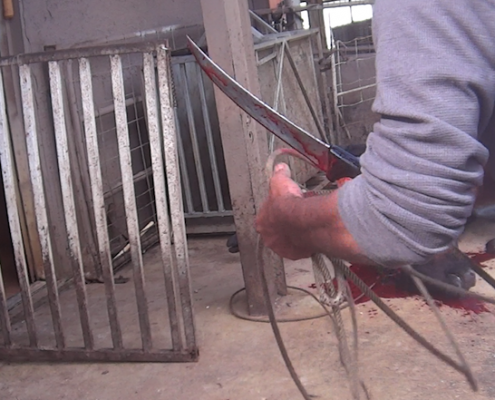 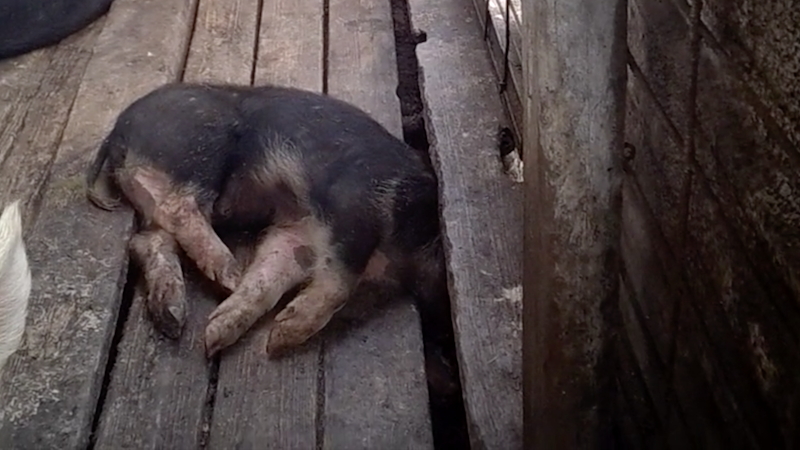 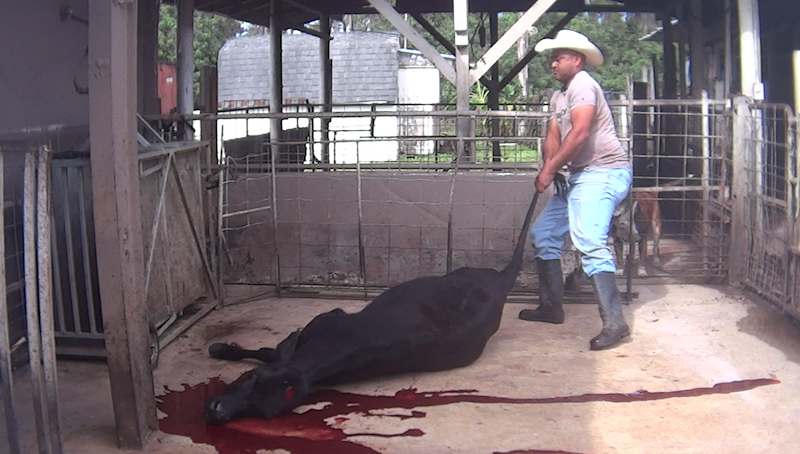 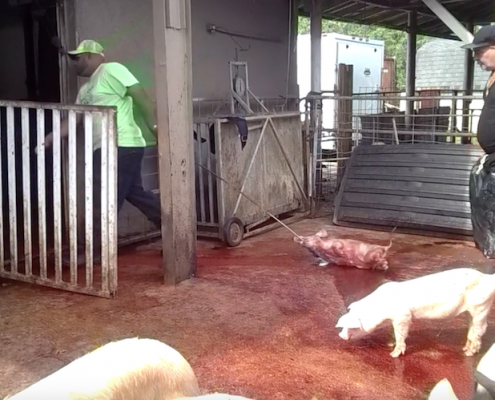 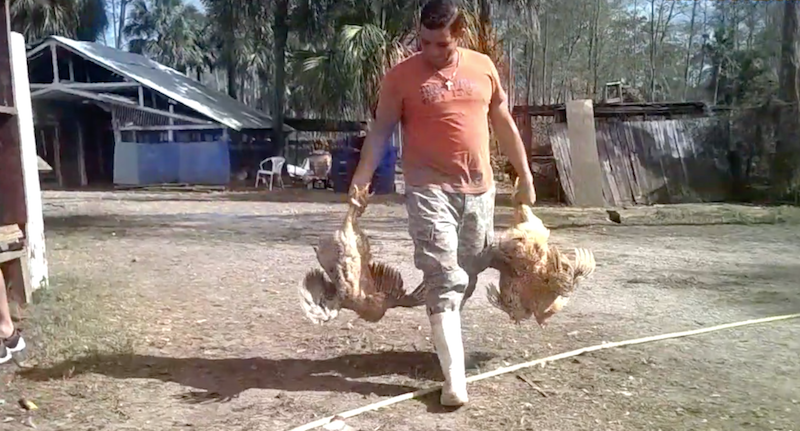 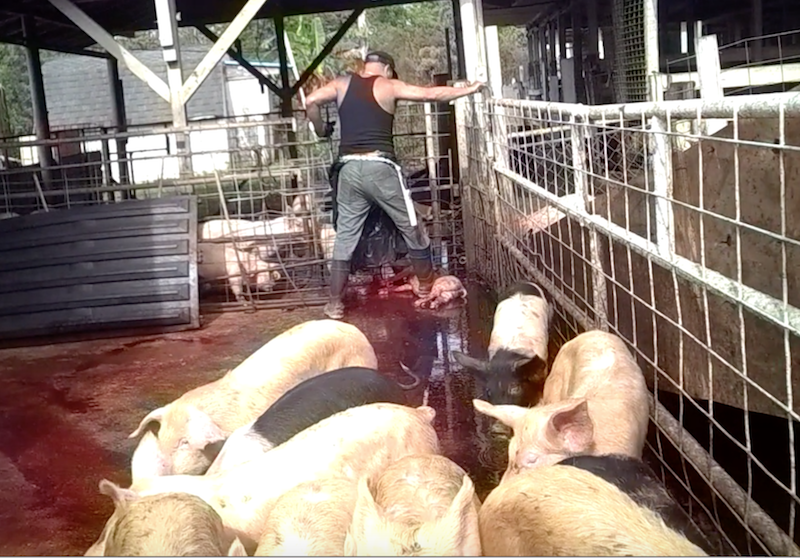 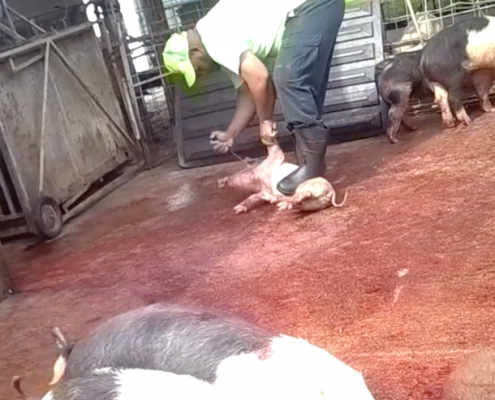 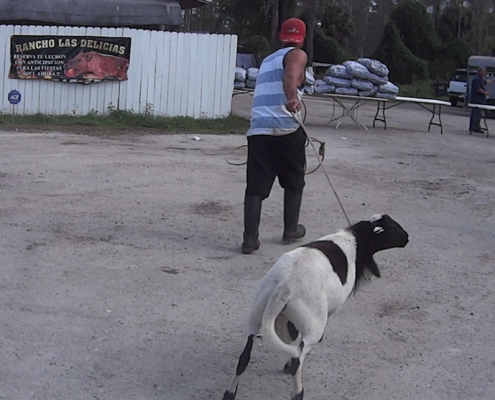 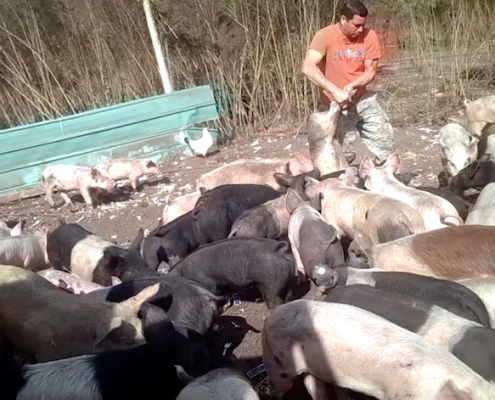 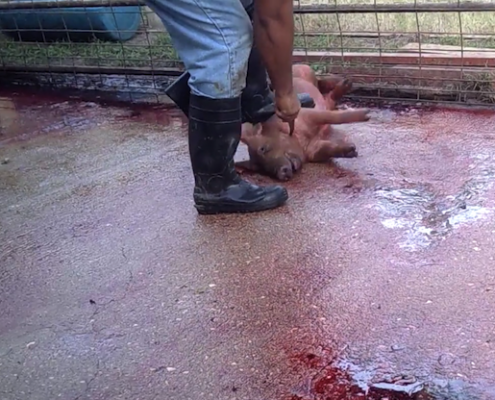 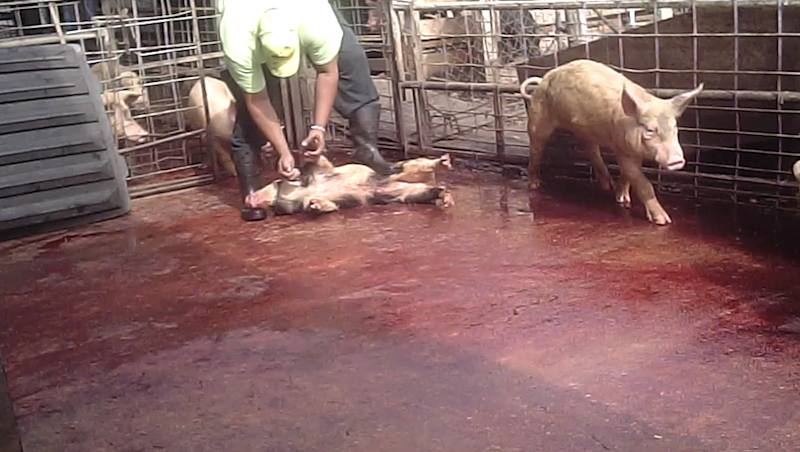 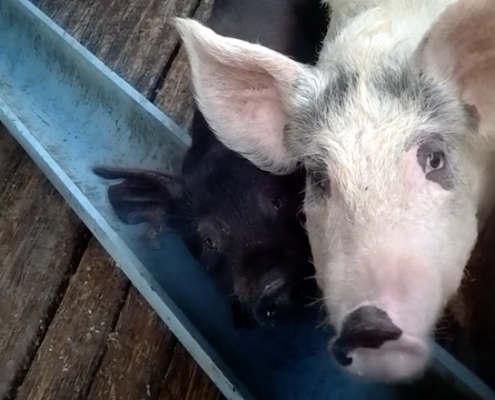 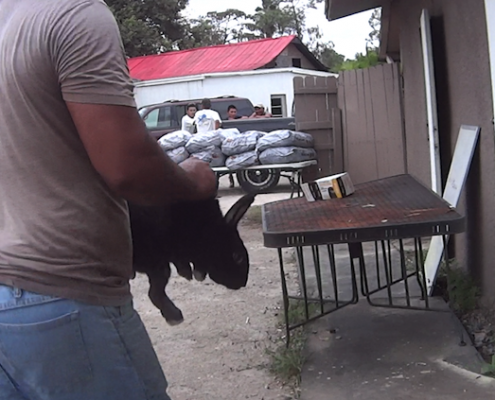 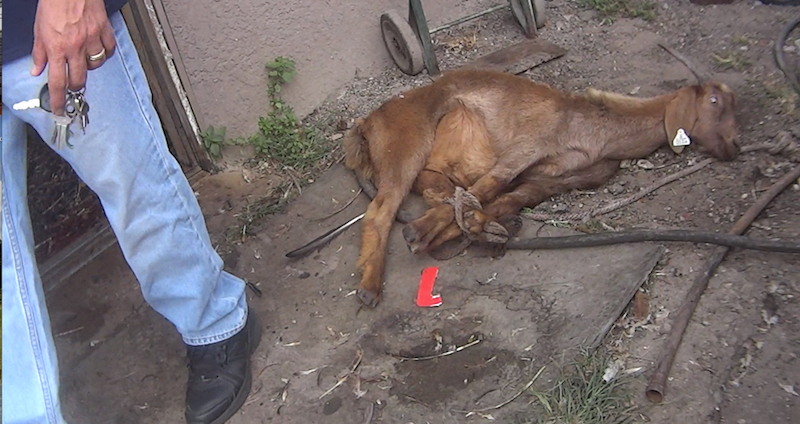 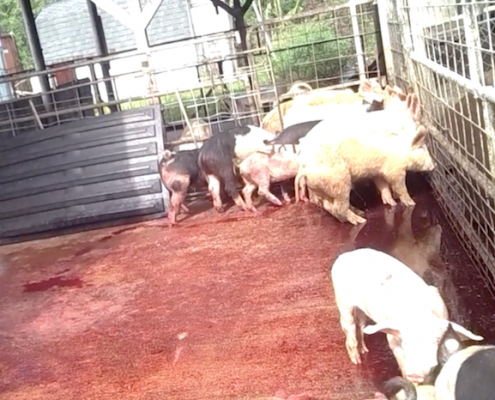 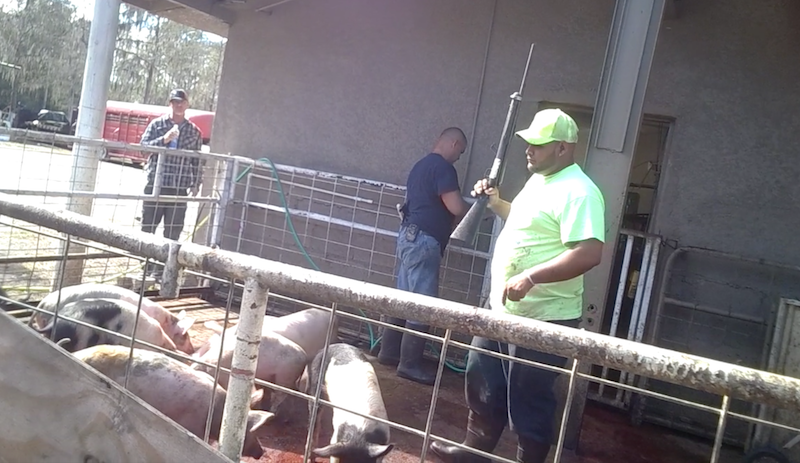 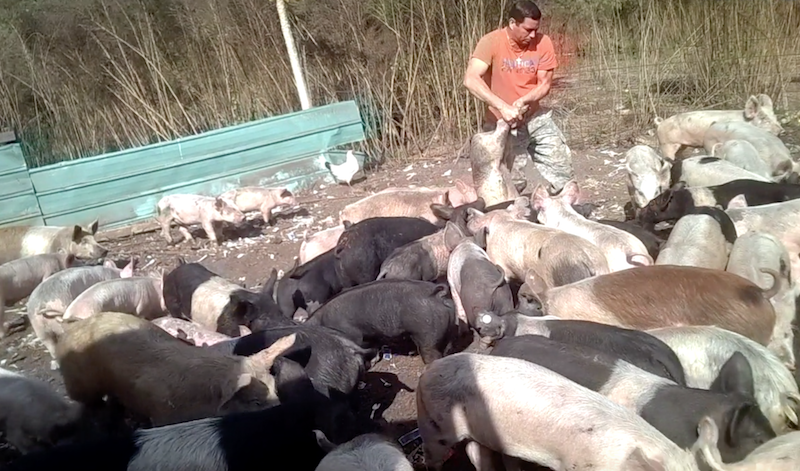 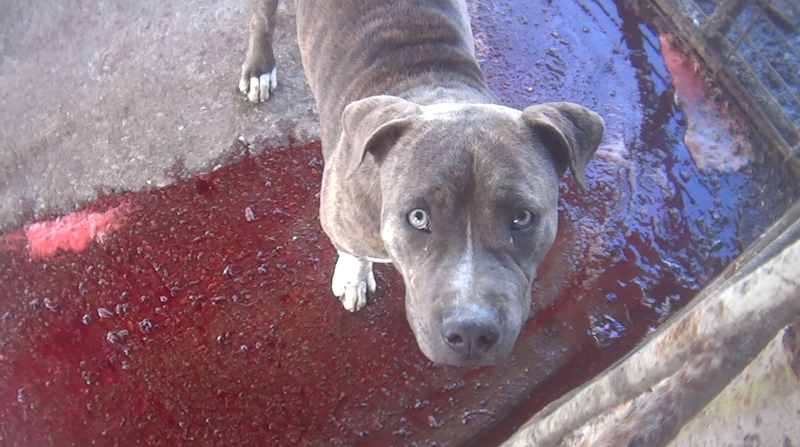 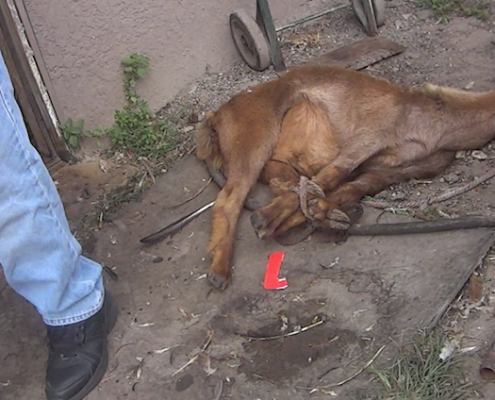 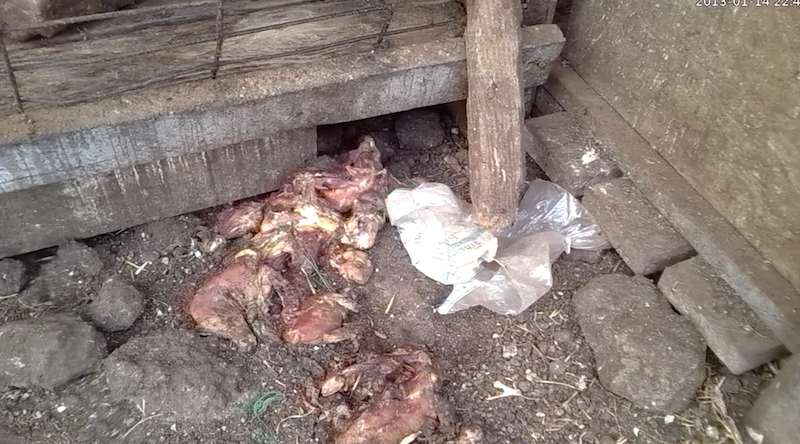 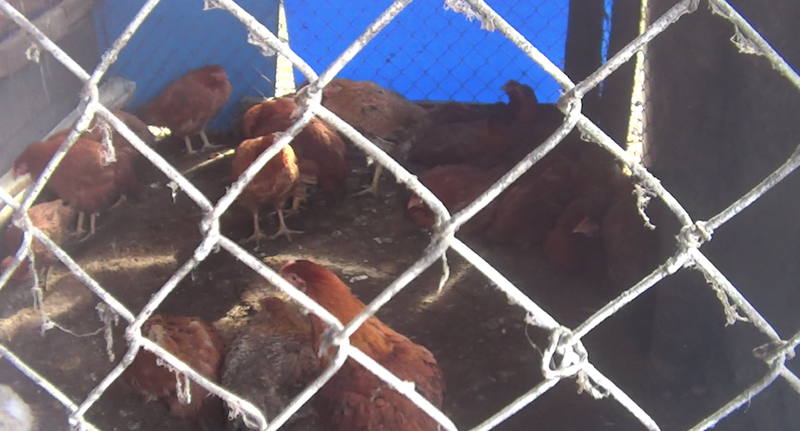 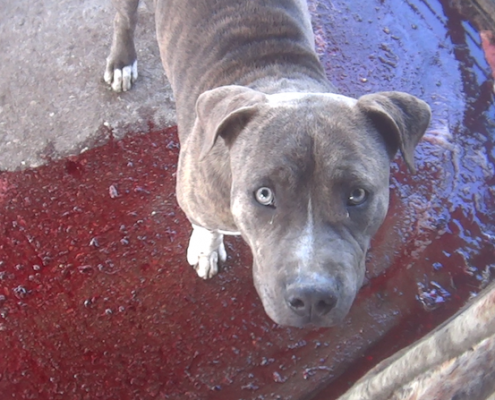 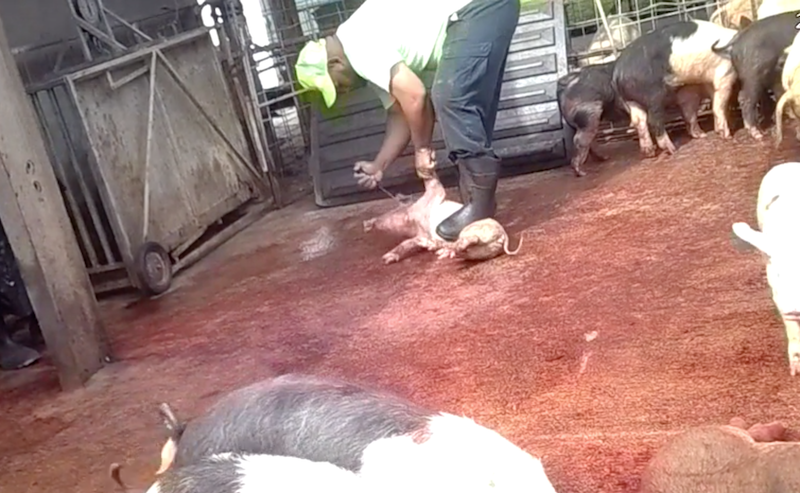 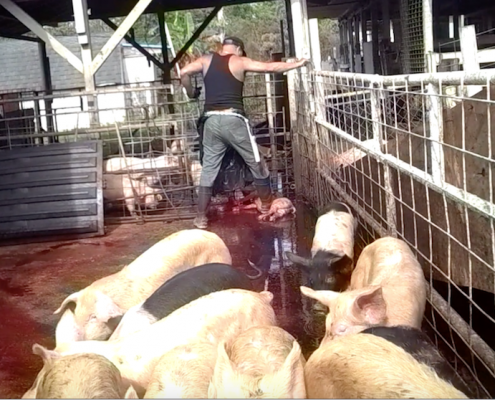 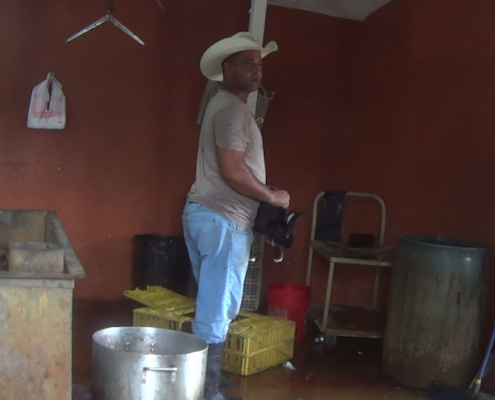 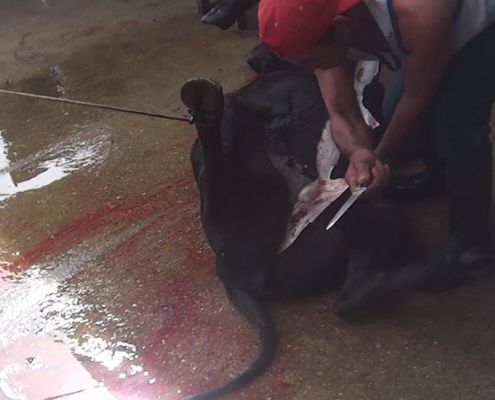 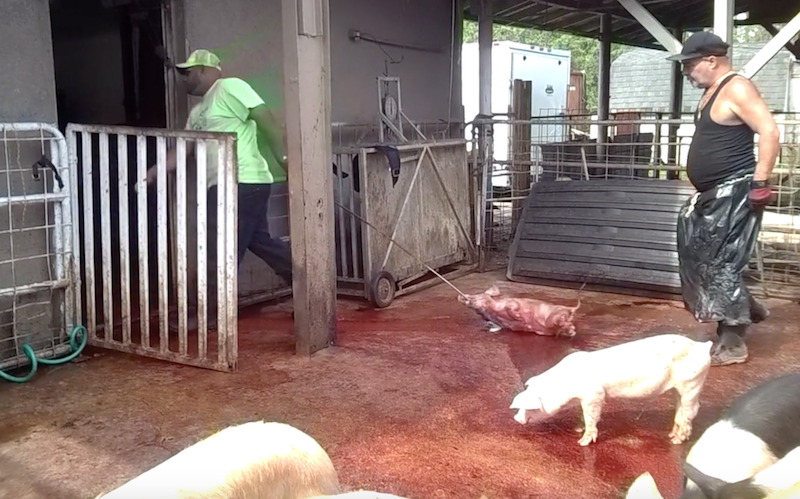 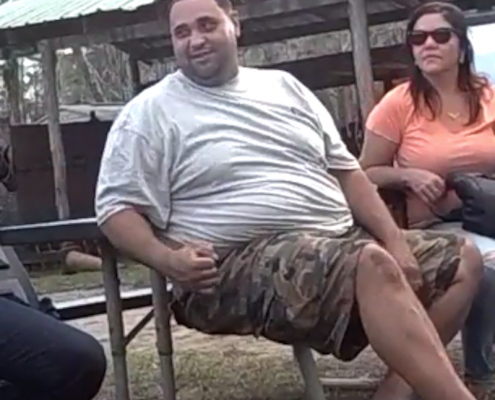 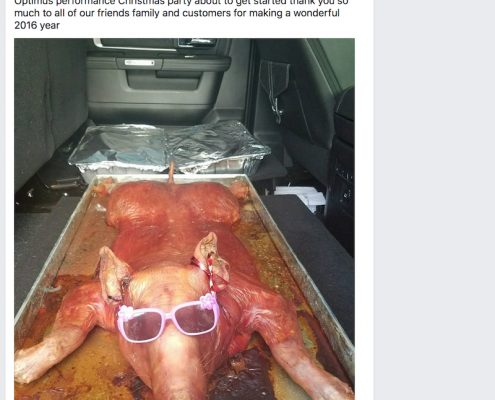 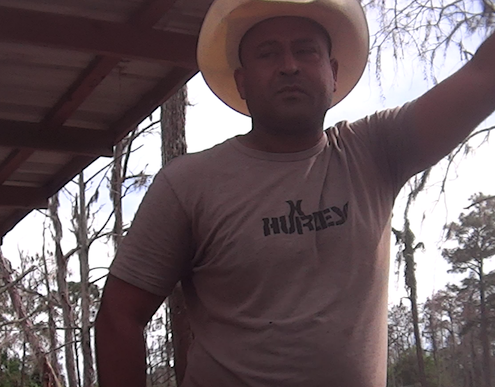 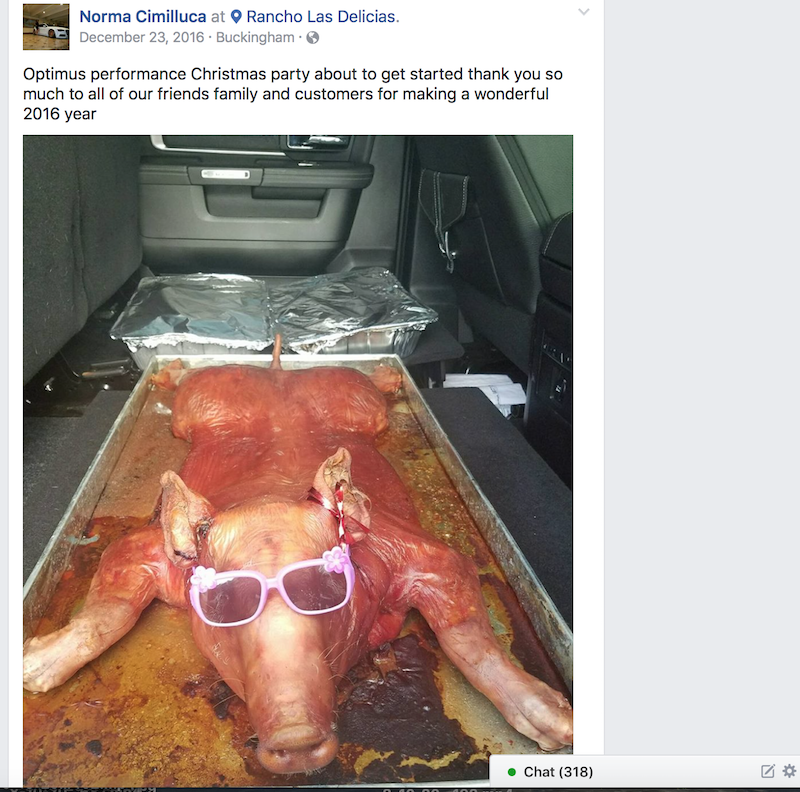 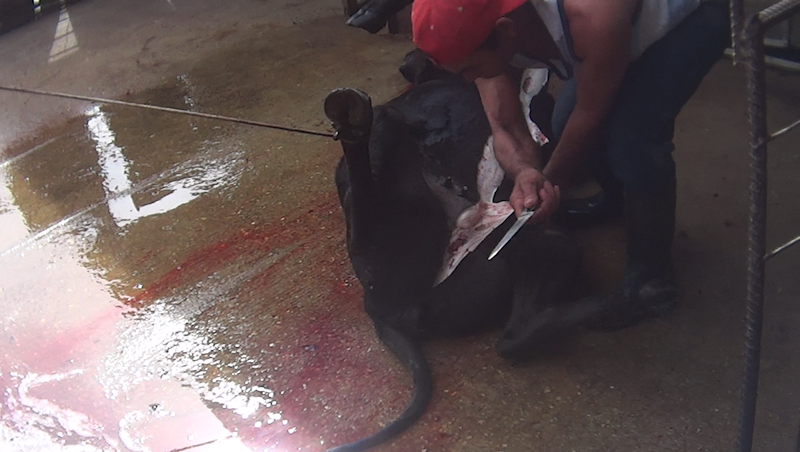 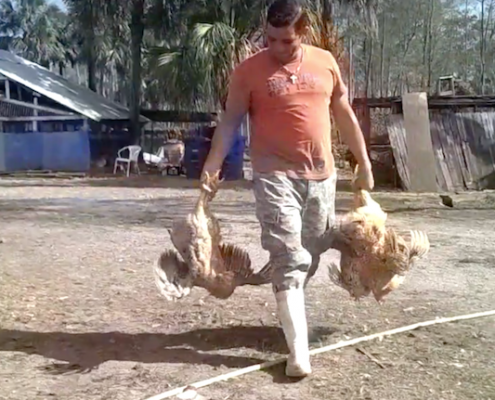 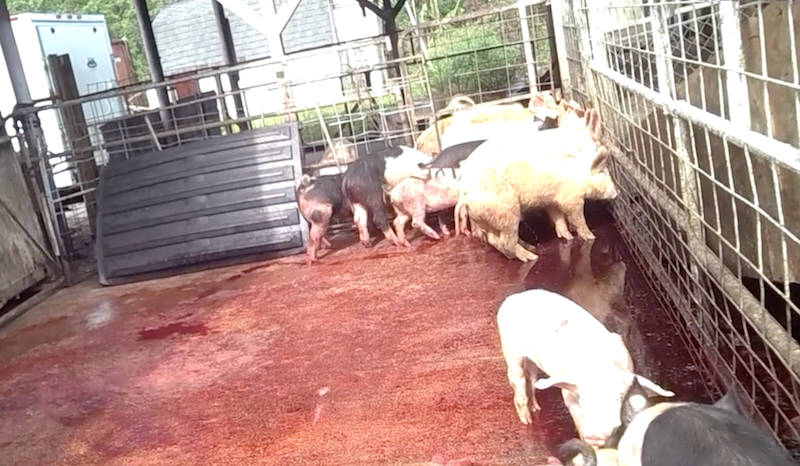 Owned by Roman Hernandez, and managed by Alex and Aymee Diaz, Rancho Delicias operates an extensive business by slaughtering, trading, training and exploiting animals for the purpose of profit. 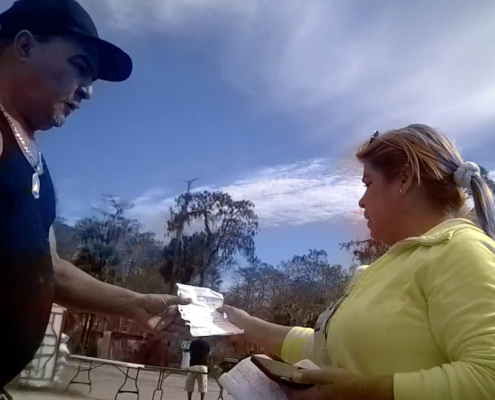 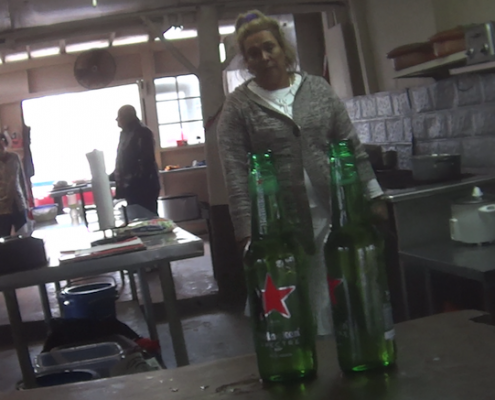 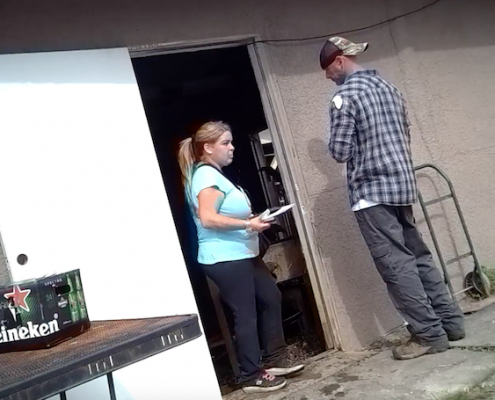 Mutual business owner, Ivan Hernandez has also been linked to criminal activity and in 2017 was arrested for workers compensation and embezzlement schemes. 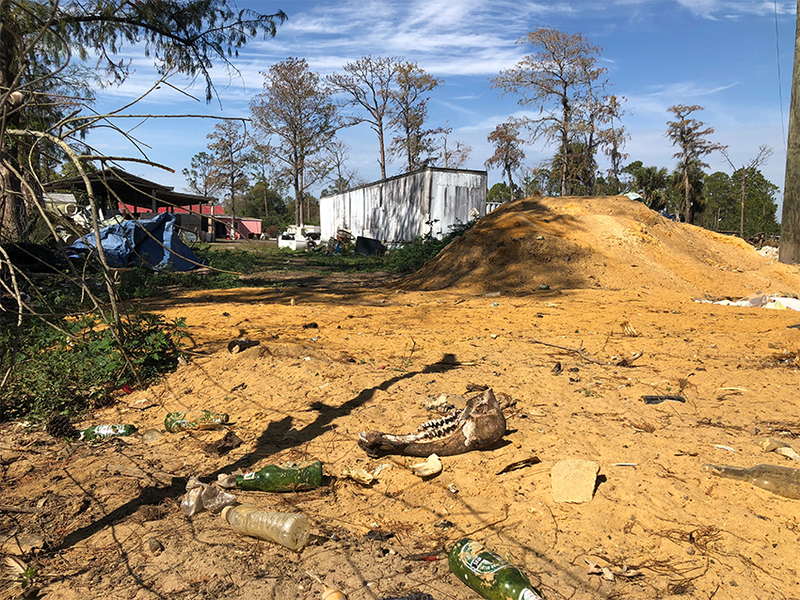 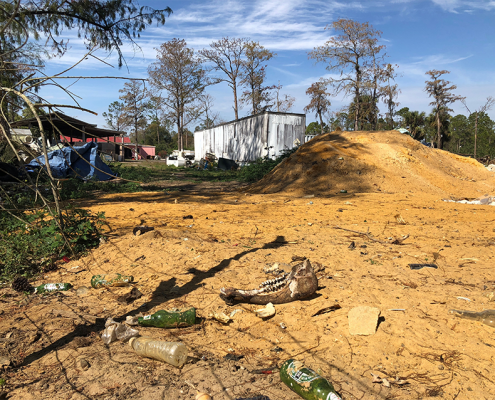 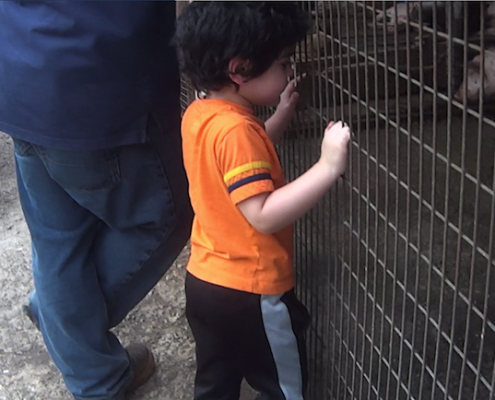 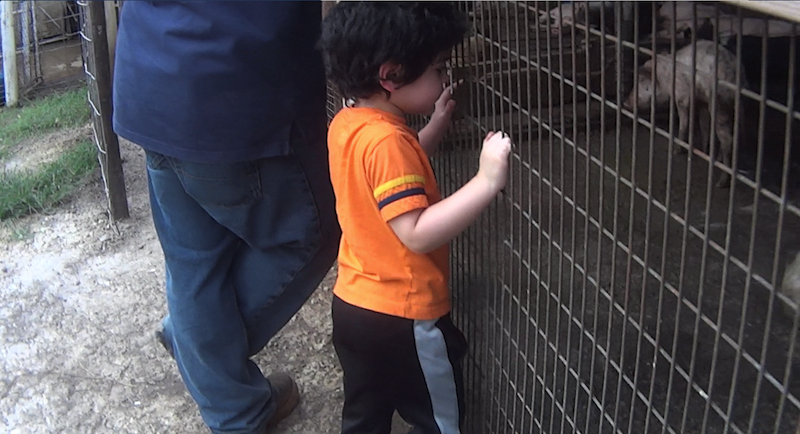 Amongst the unsanitary and garbage scattered property, animals housed onsite include; horses (including registered thoroughbreds), sheep, cattle, pigs, ducks, quail, guinea fowl, doves, pigeons, turkeys, dogs, cats, and rabbits. 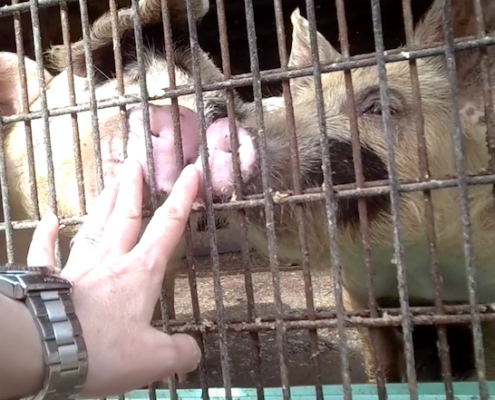 Many of the animals exhibit emaciation and suffering from illnesses, injuries, and diseases. 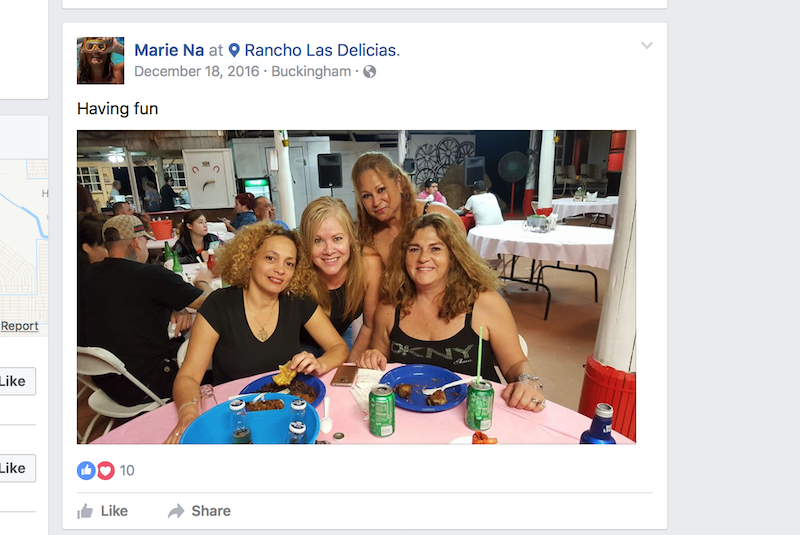 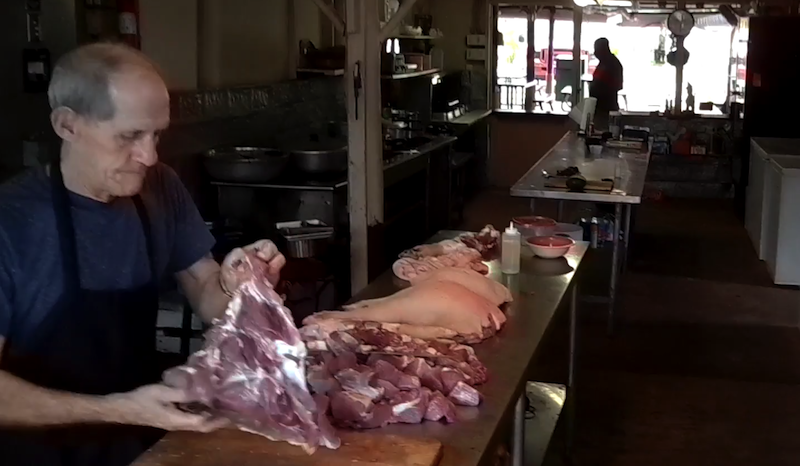 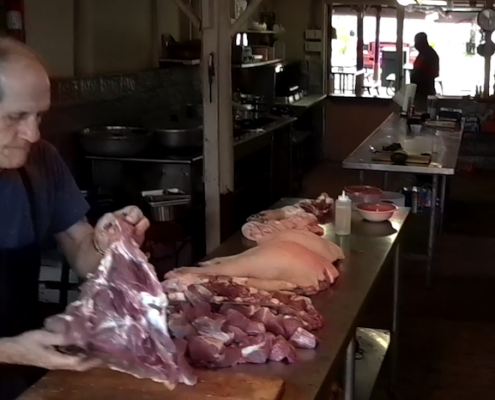 As a part of ARM’s newly developed focus, Rancho Delicias is classified as a custom exempt farm, which by definition from the USDA (United States Department of Agriculture), is a legal animal slaughter business that is overseen and inspected by USDA veterinarians and food & safety investigators. 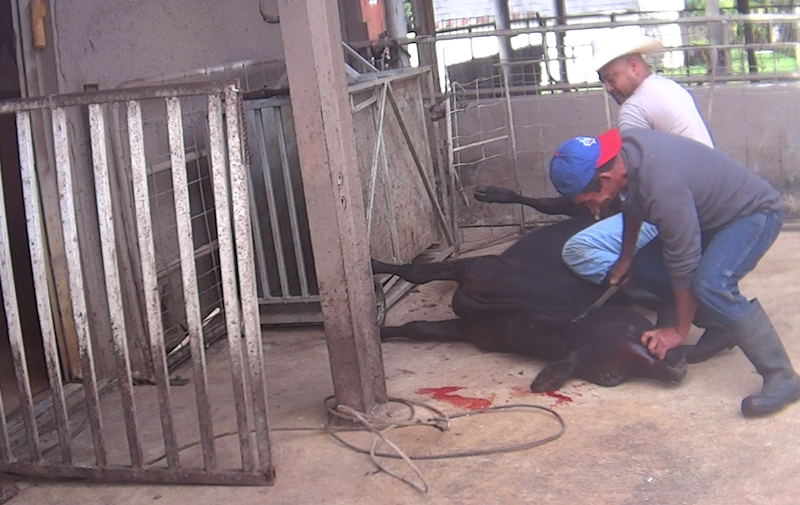 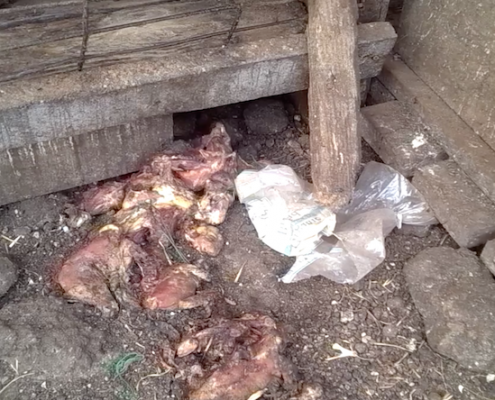 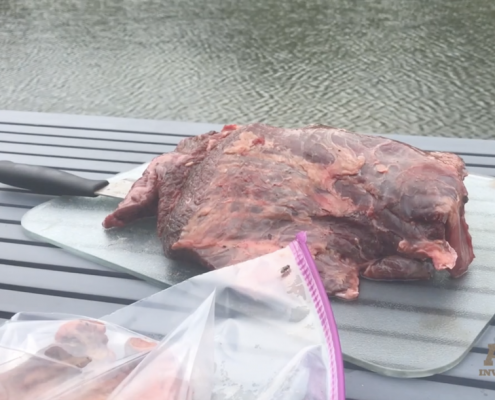 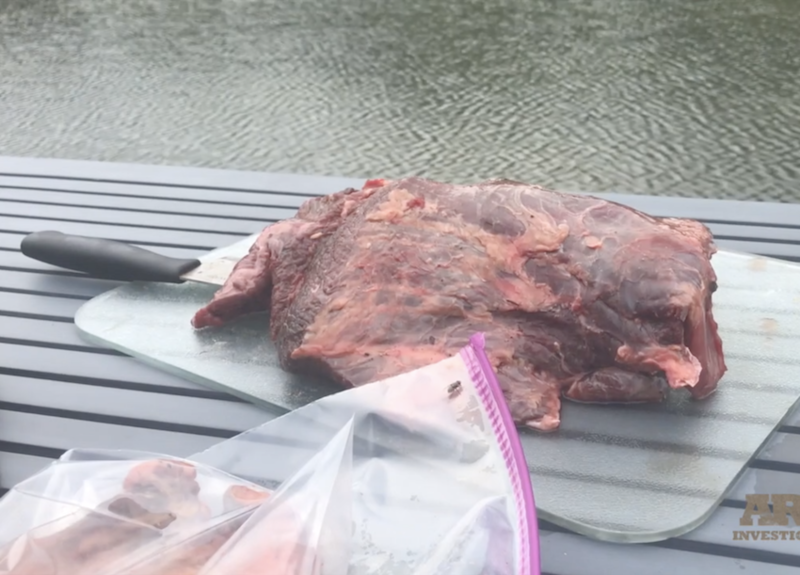 However, Rancho Delicias is killing animals using extremely inhumane and illegal methods and are blatantly violating their exemption, not to mention State Law. 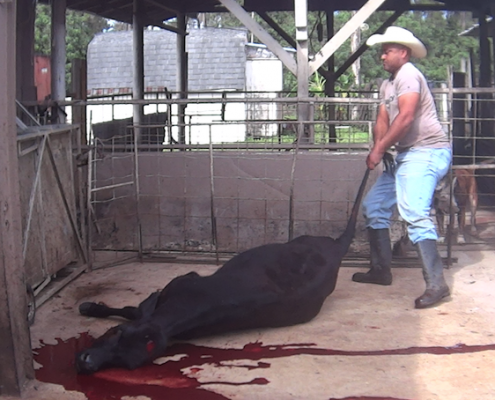 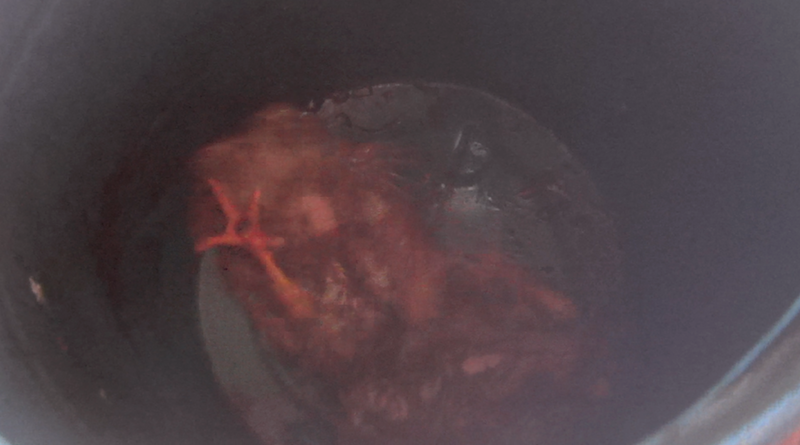 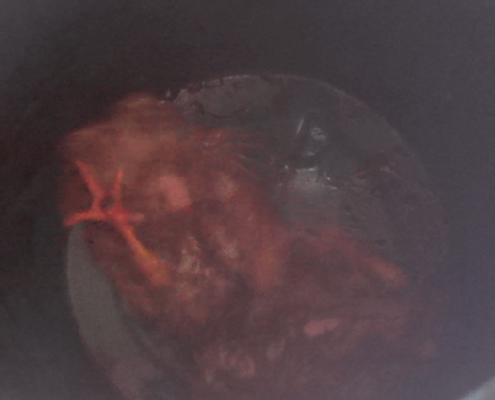 The USDA was made aware of this in ARM’s reports. 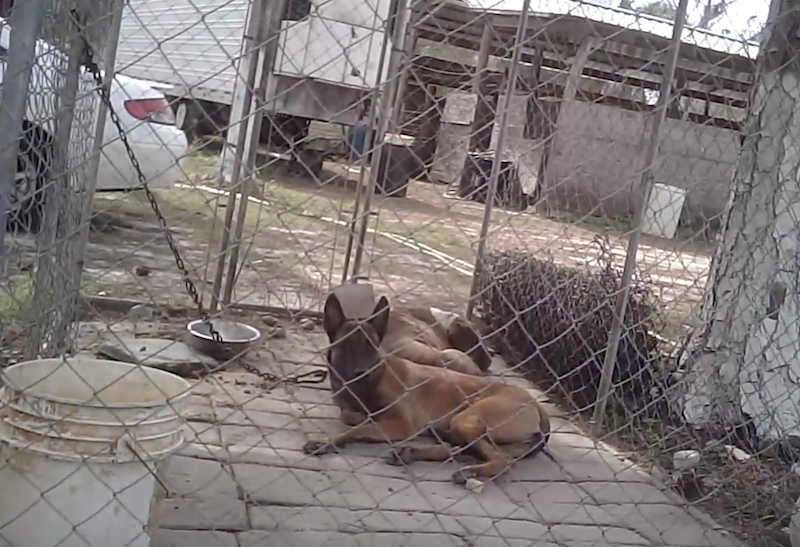 Regardless, they have allowed them to continue to operate with no interruption. 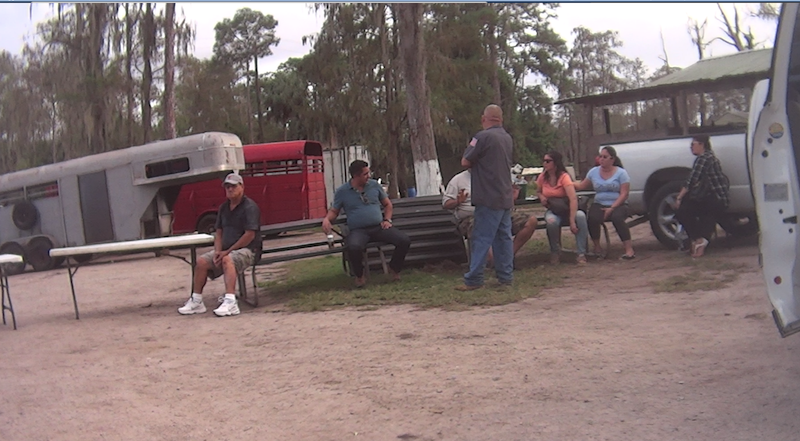 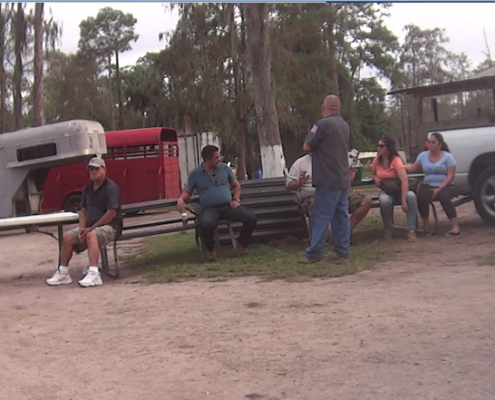 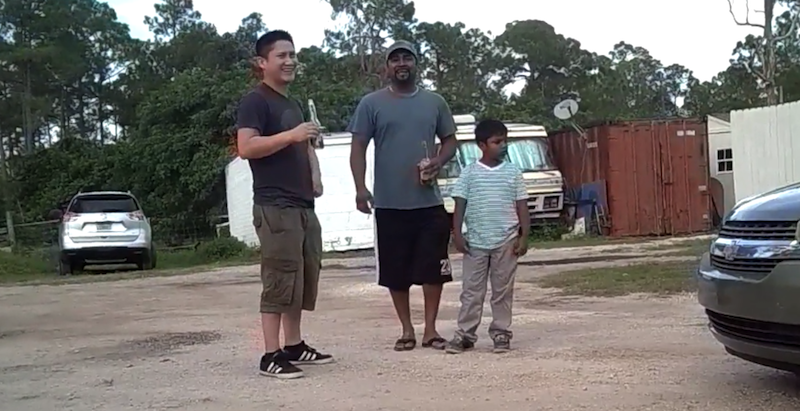 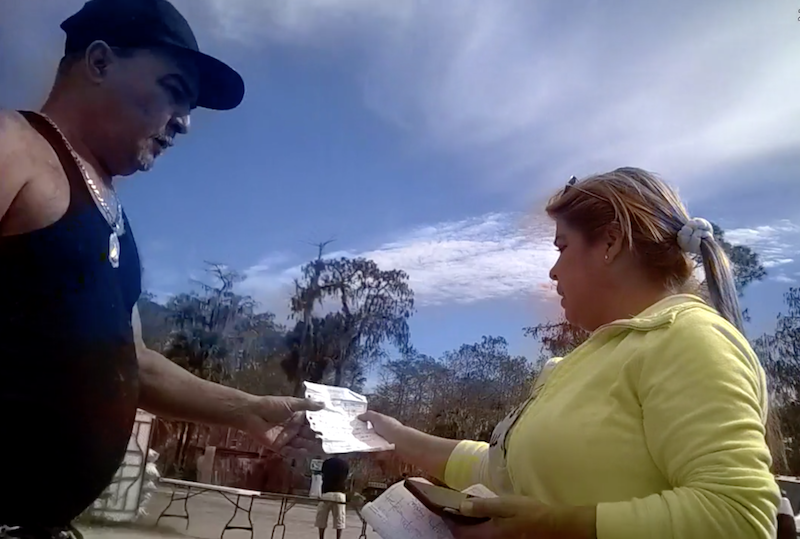 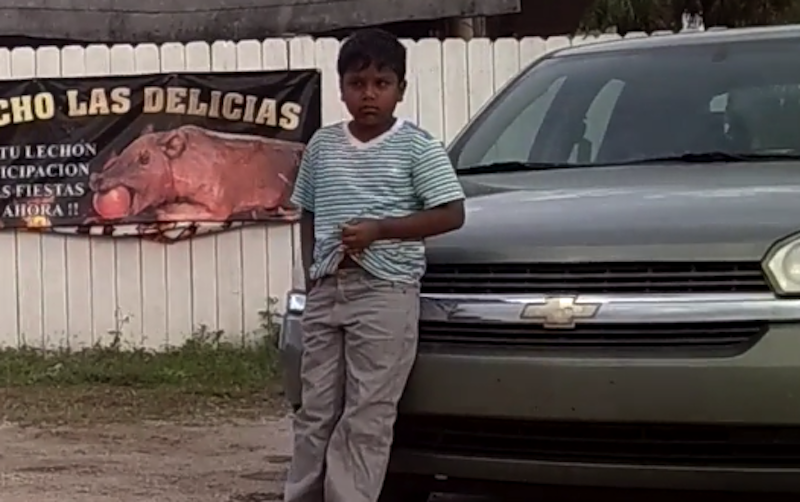 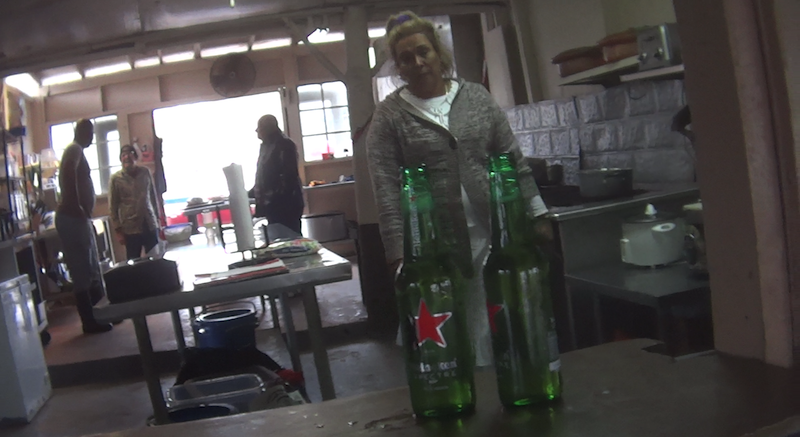 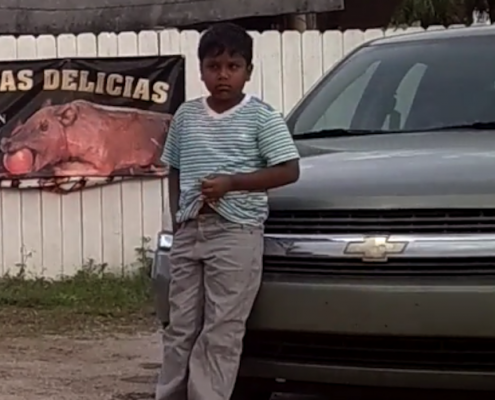 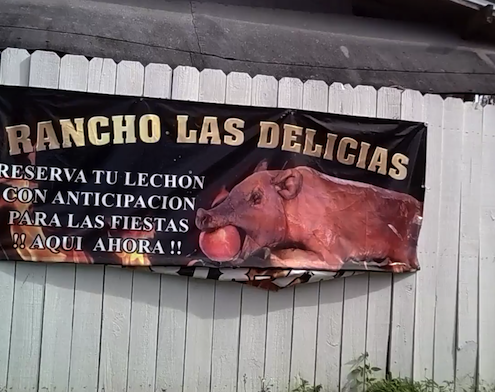 Prominent advertising at the entrance of the property, as well as on social media and YouTube channels, confirms that Rancho Delicias is an extremely lucrative business that is comprised of multiple facets including; a cantina and bar, petting zoo, children’s parties and special events/concerts. 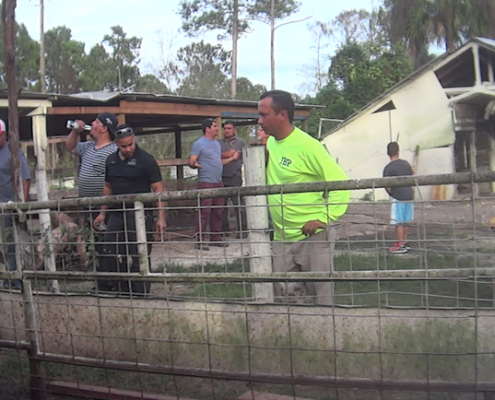 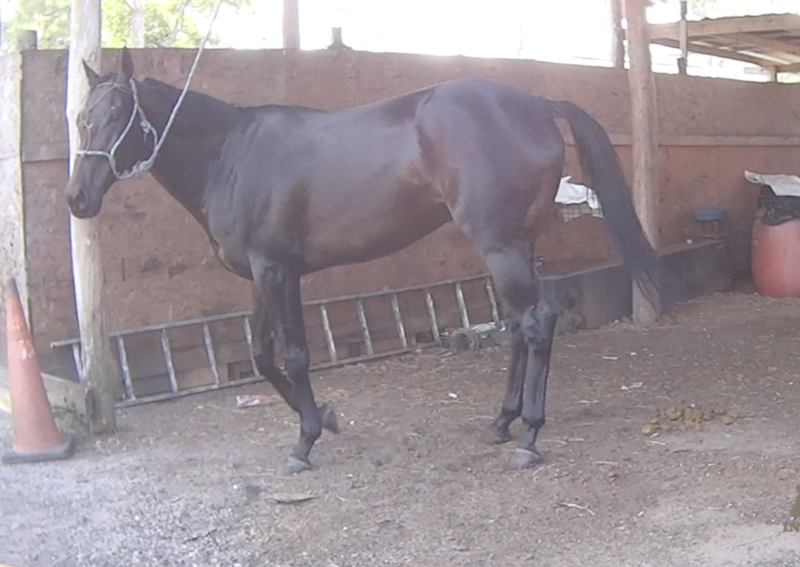 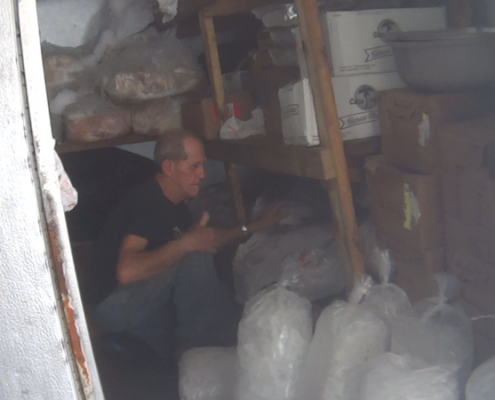 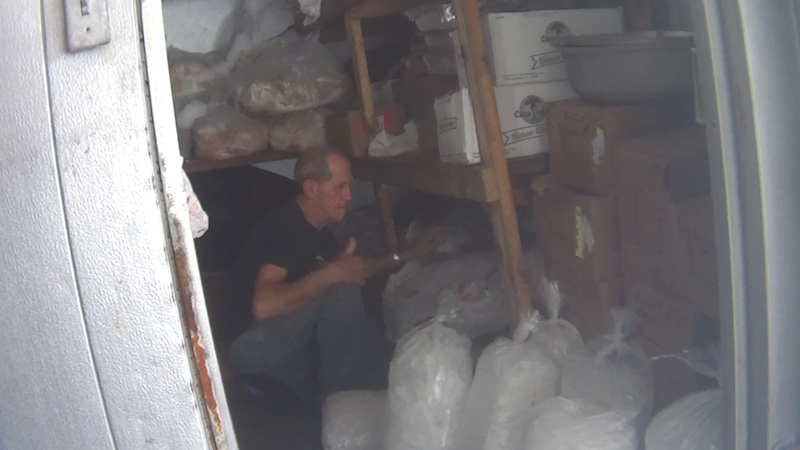 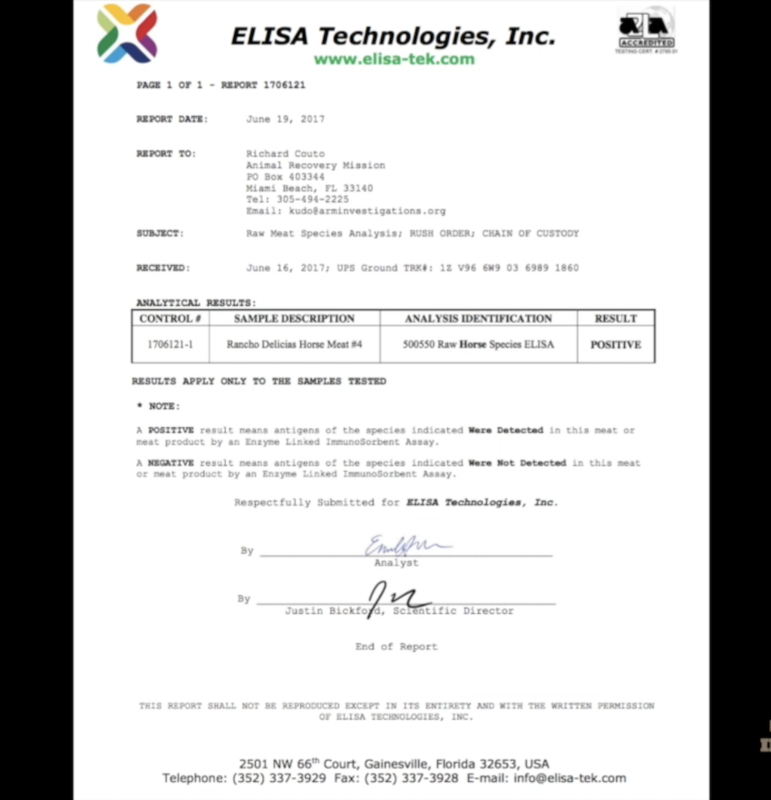 These operations are in addition to the onsite animal slaughter, animal fighting and thriving suppliers of horse meat to the underground market, which ARM believes relays across multiple counties, including Miami- Dade County, Florida. 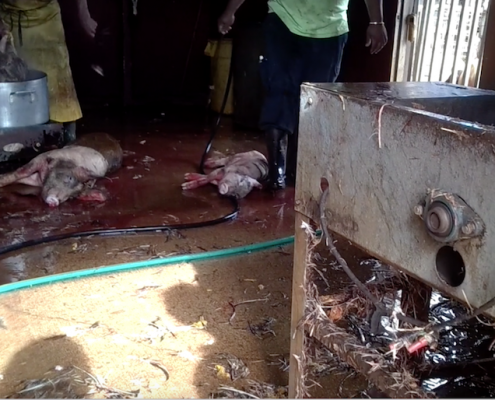 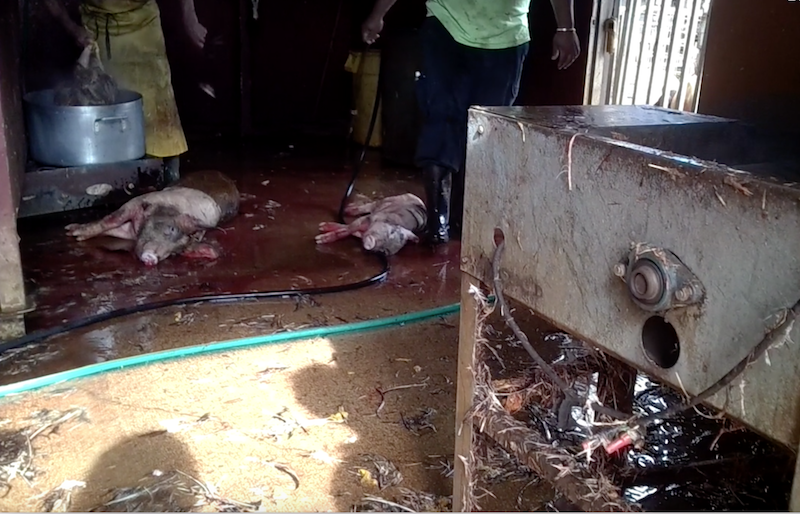 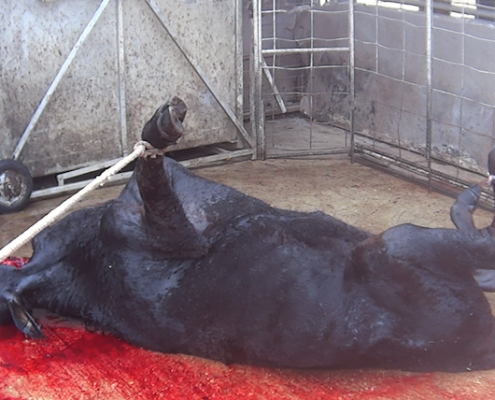 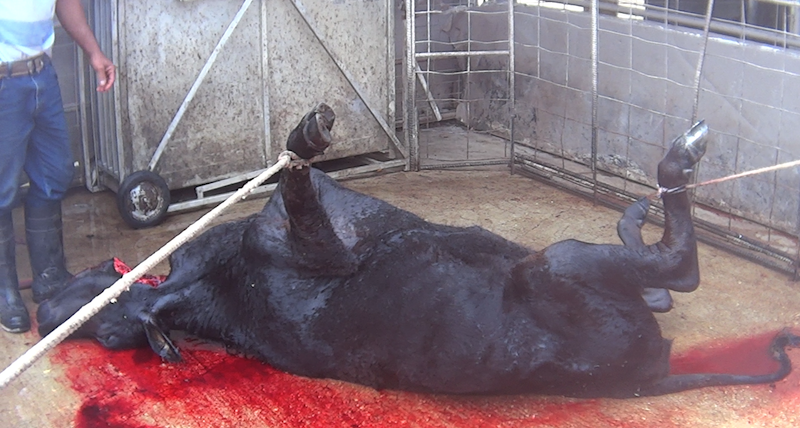 Animals are Inhumanely dragged by their ears and gaff hooks, and are hoisted by while alive.